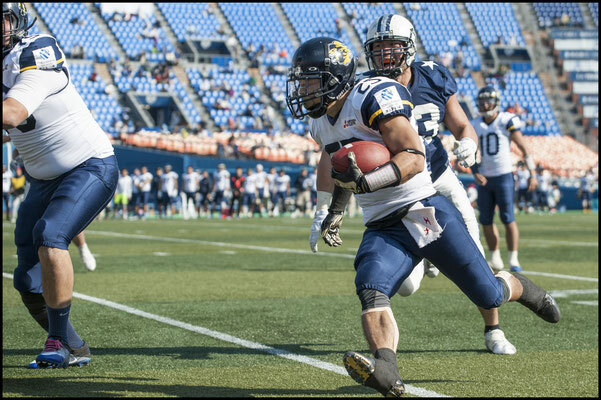 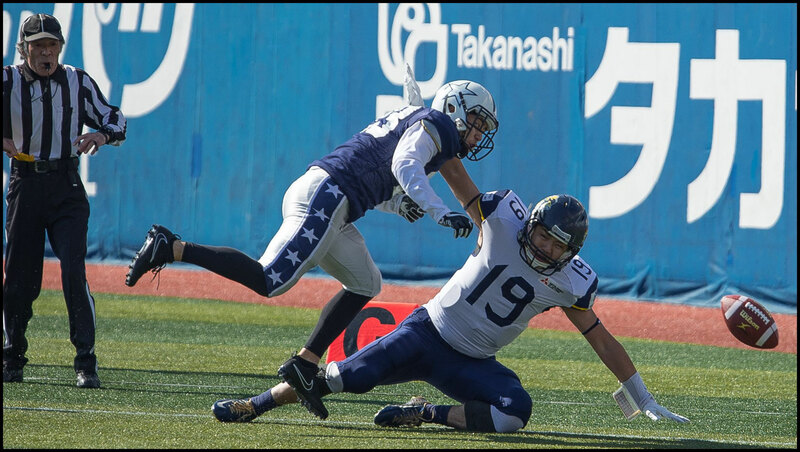 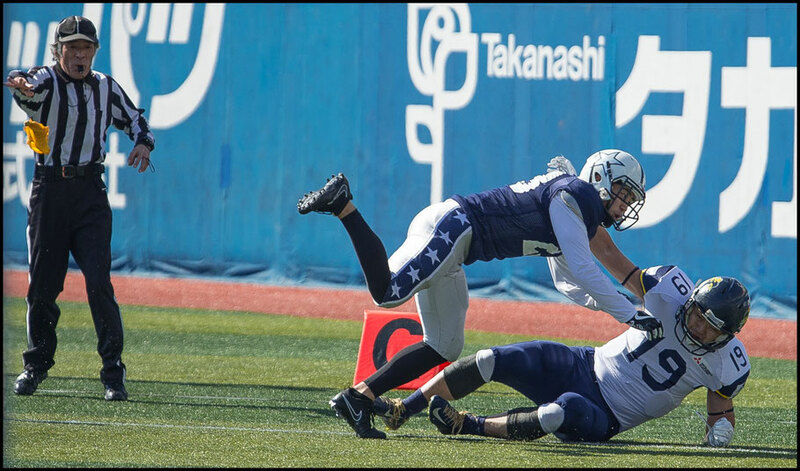 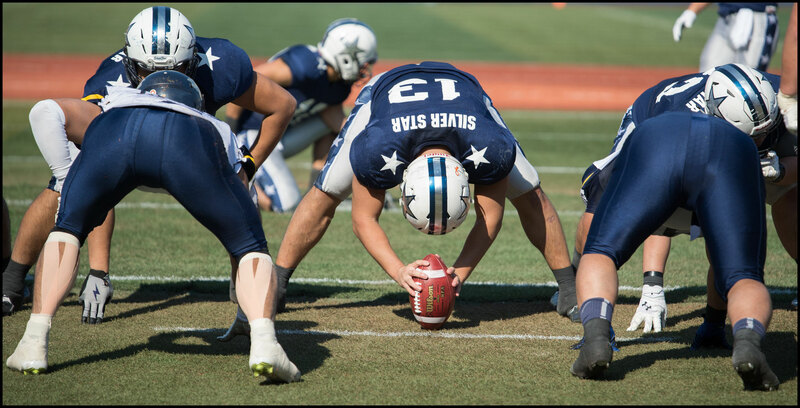 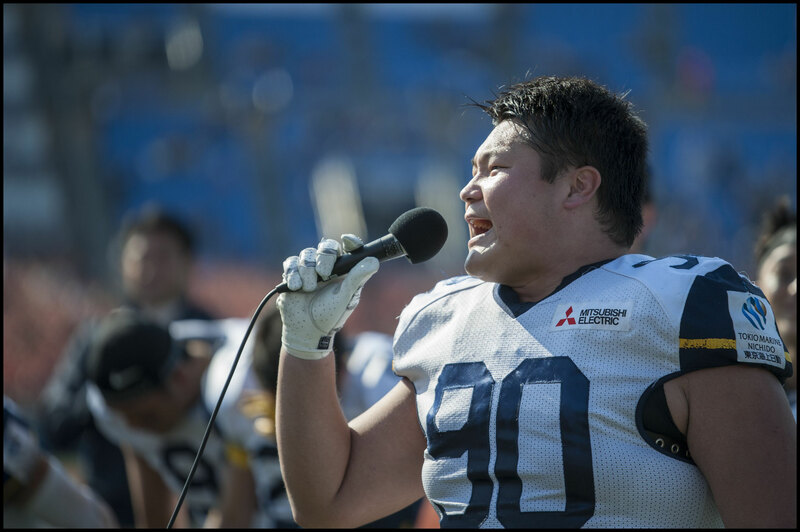 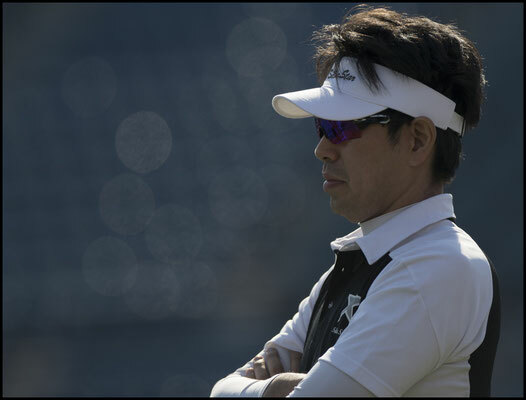 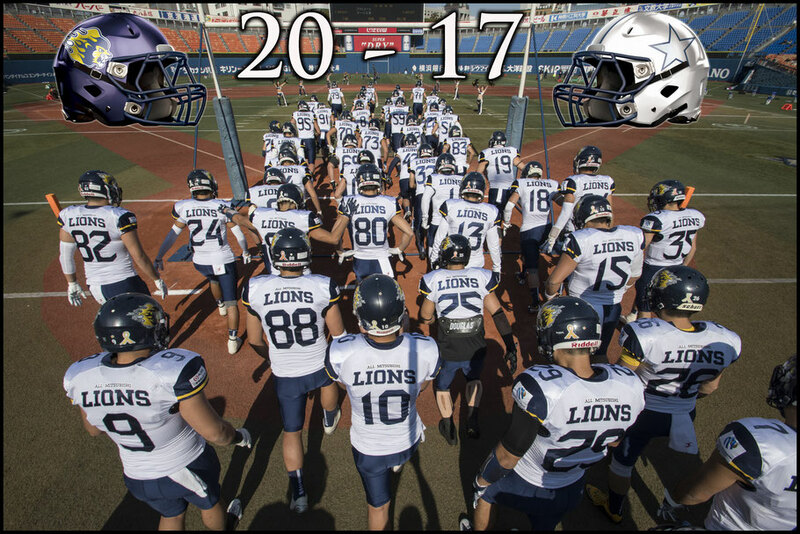 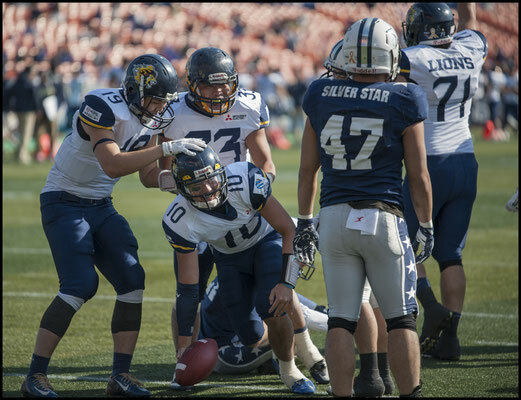 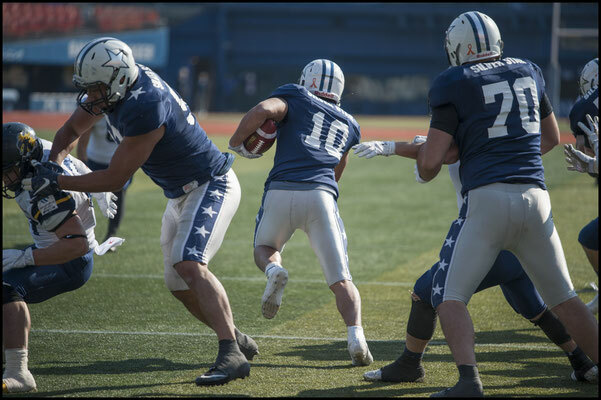 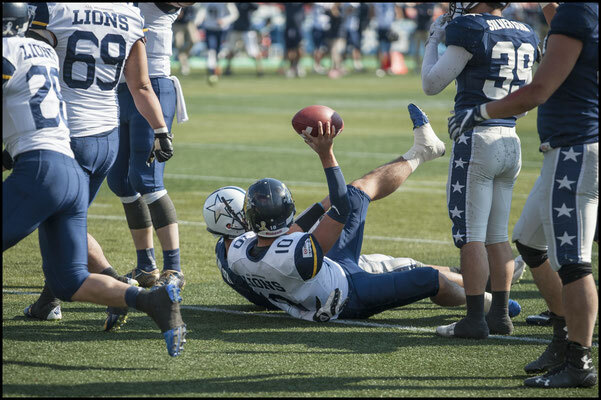 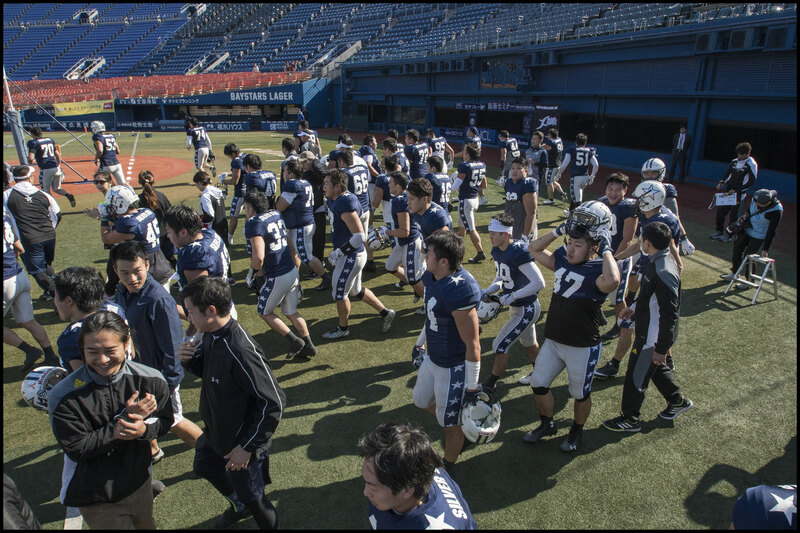 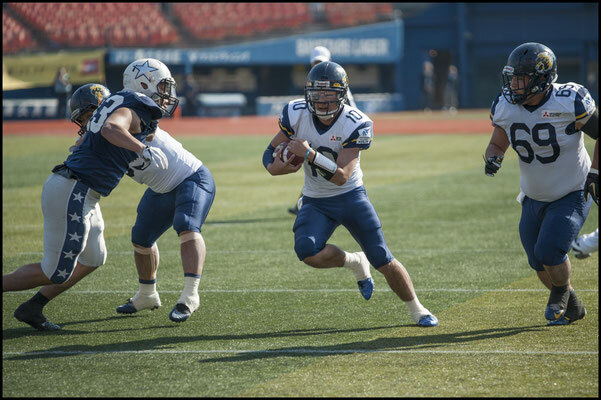 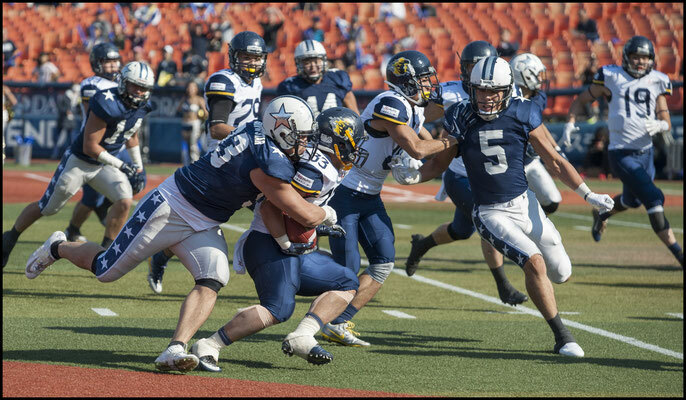 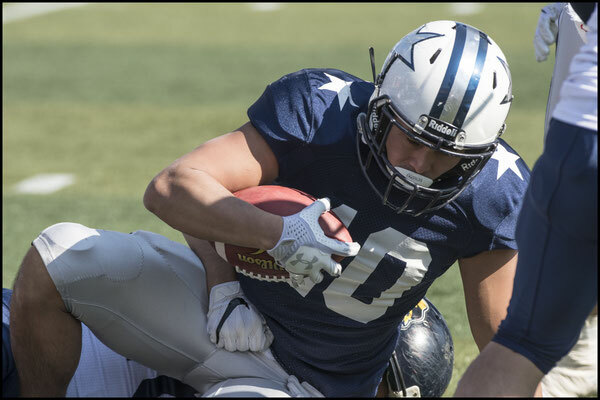 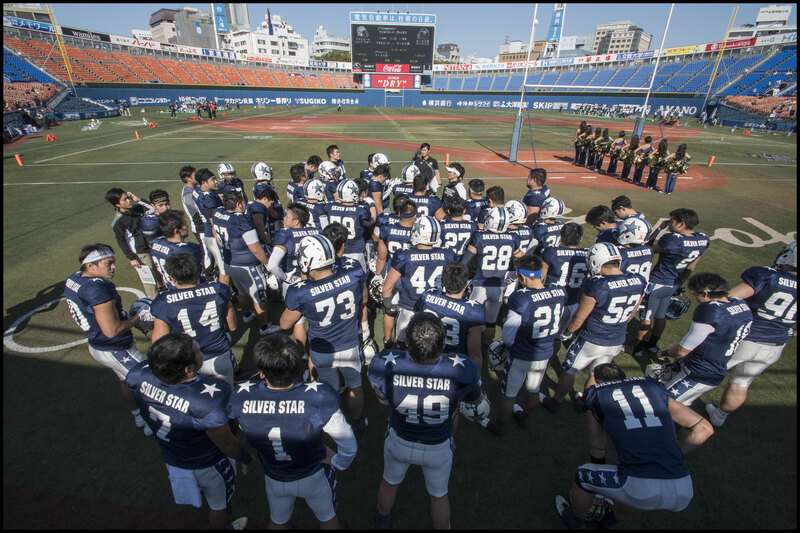 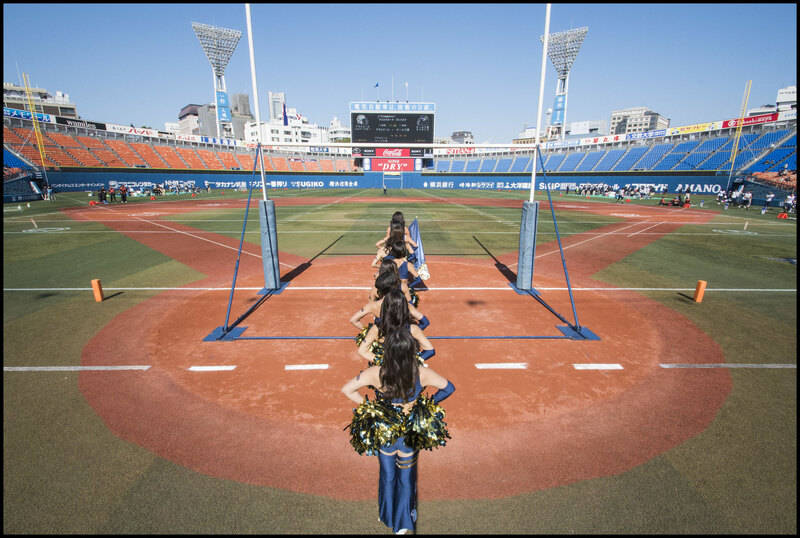 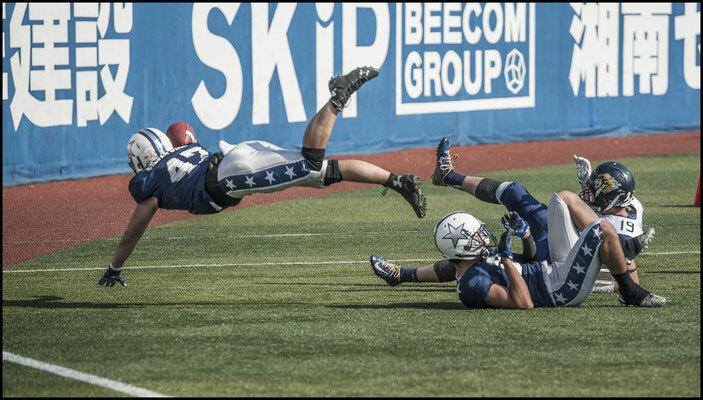 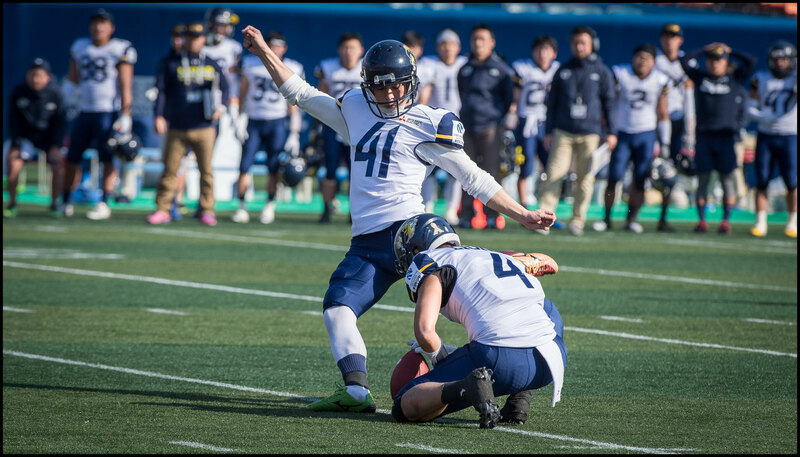 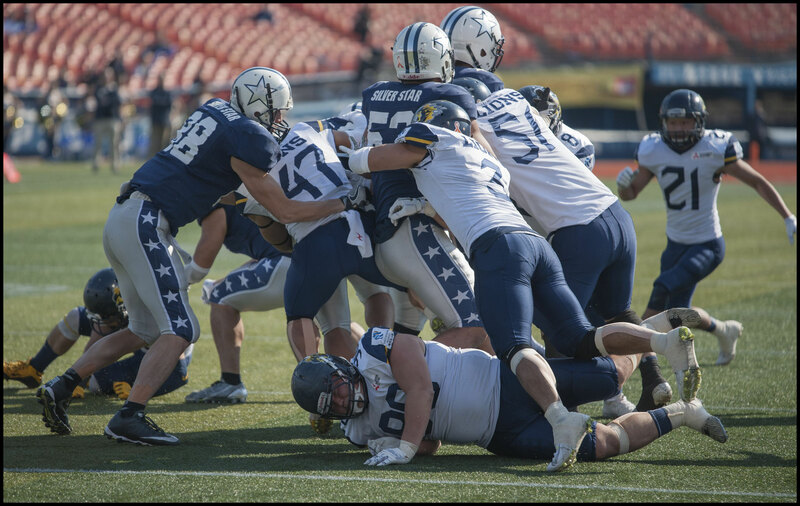 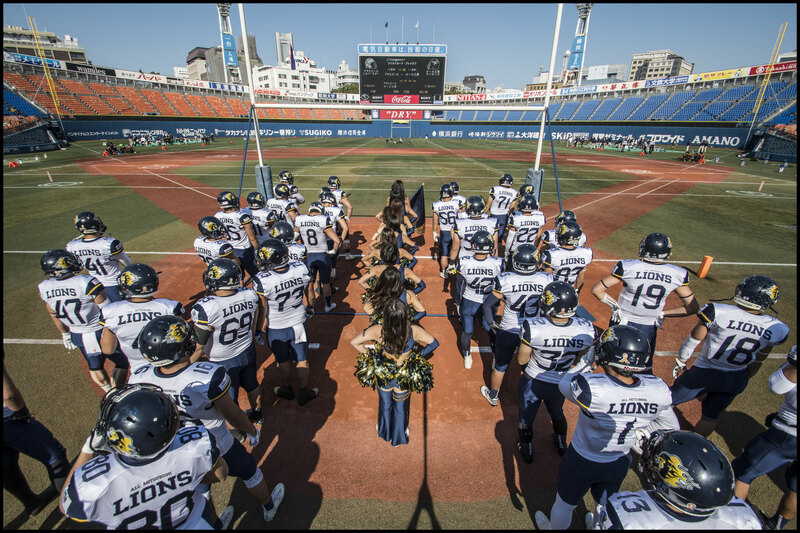 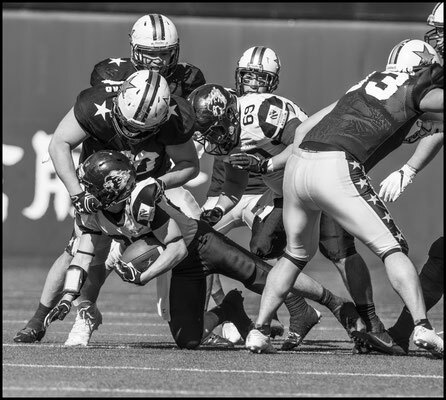 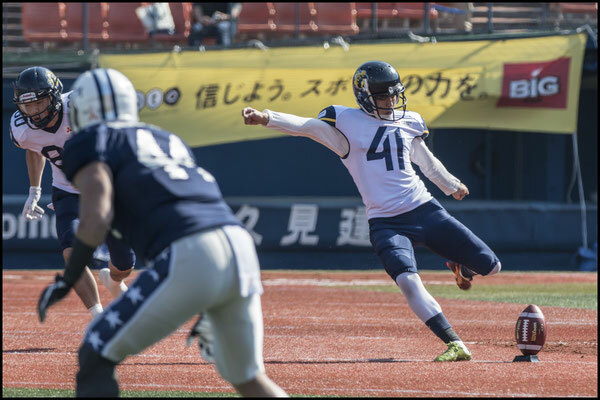 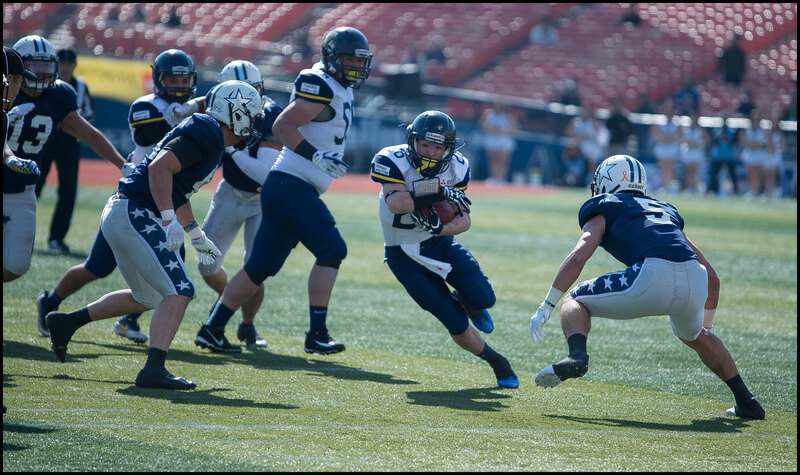 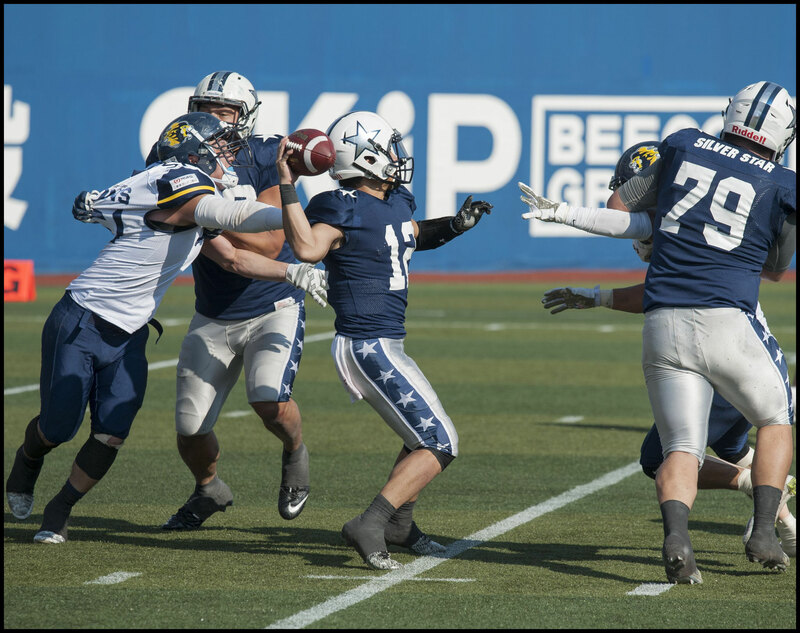 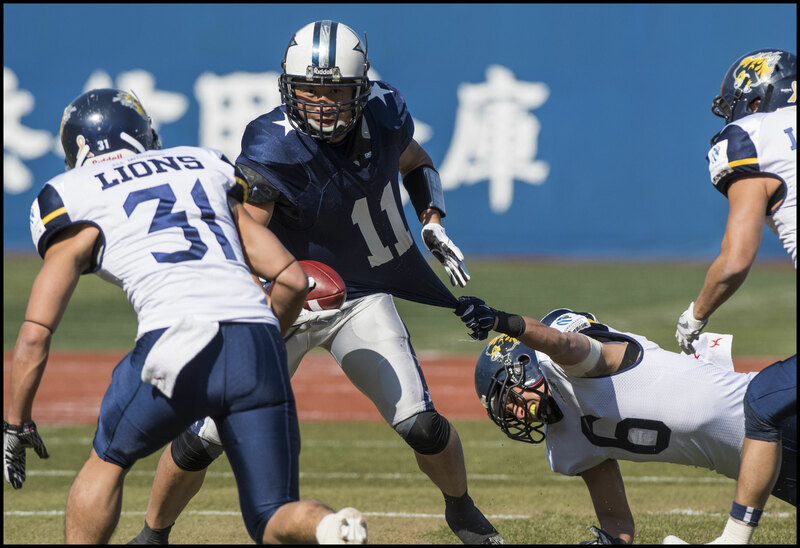 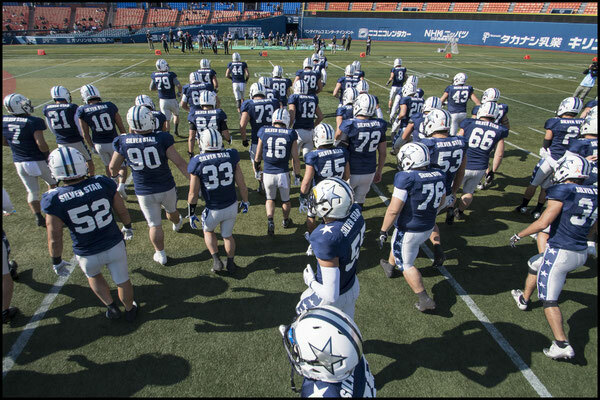 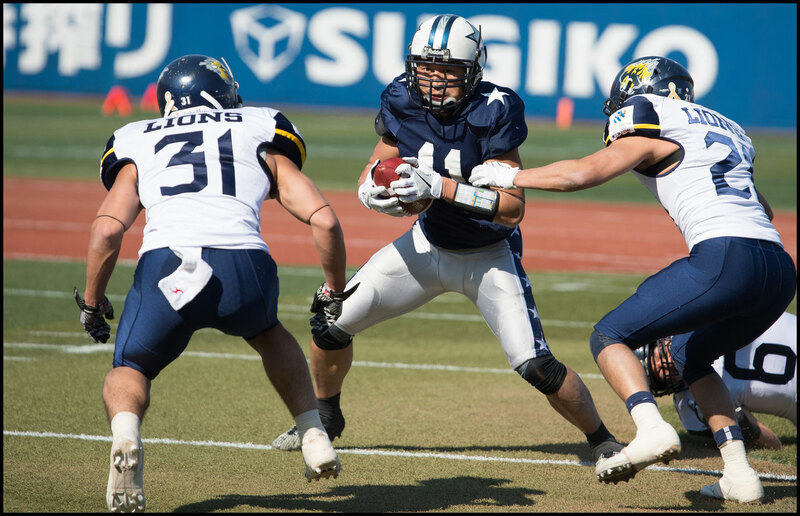 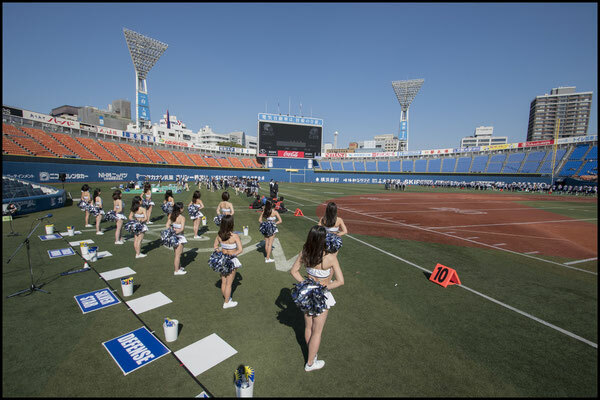 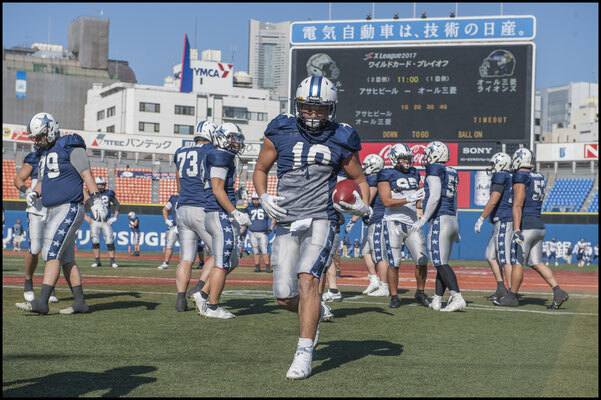 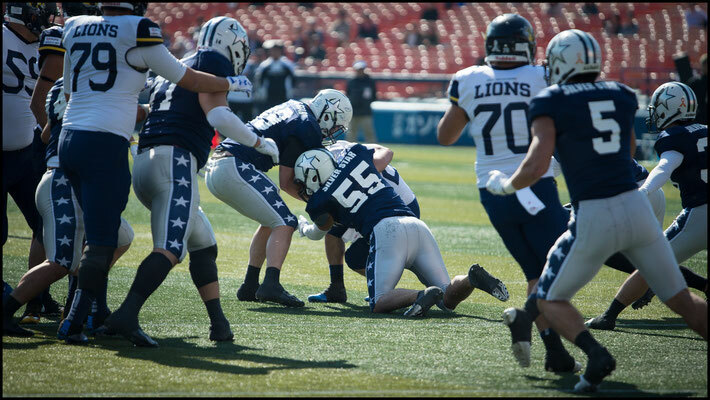 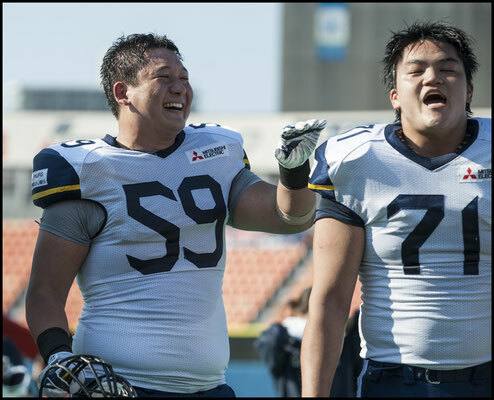 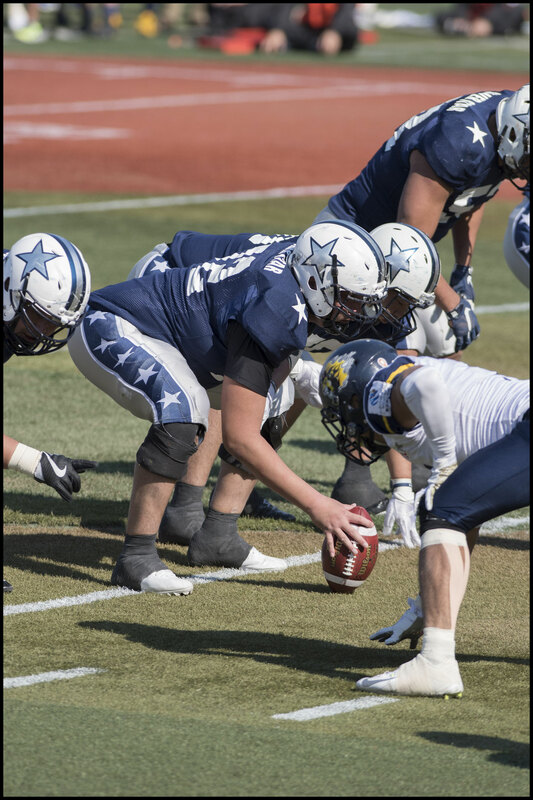 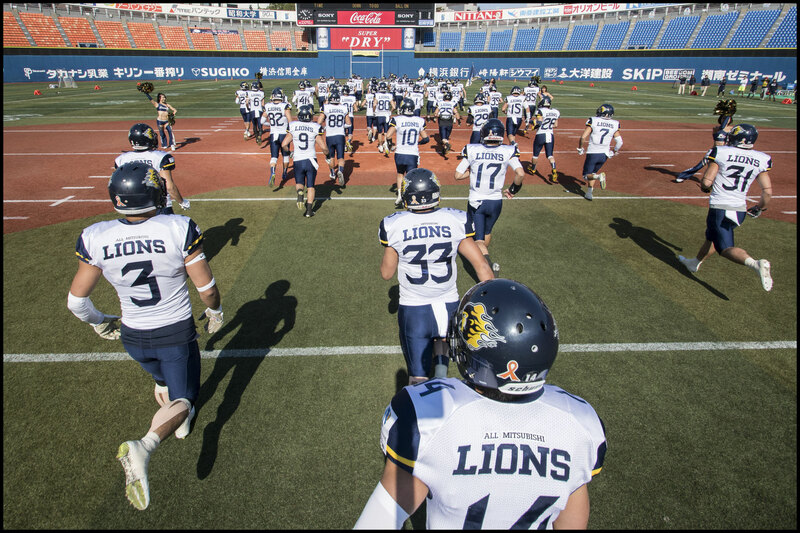 All Mitsubishi Lions pulled off the shock of the 2017 season, defeating Asahi Beer Silver Star 20-17 in a wildcard game held at Yokohama Stadium on Sunday. 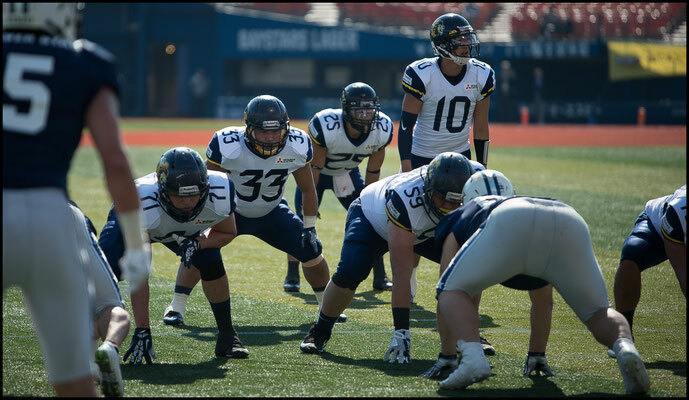 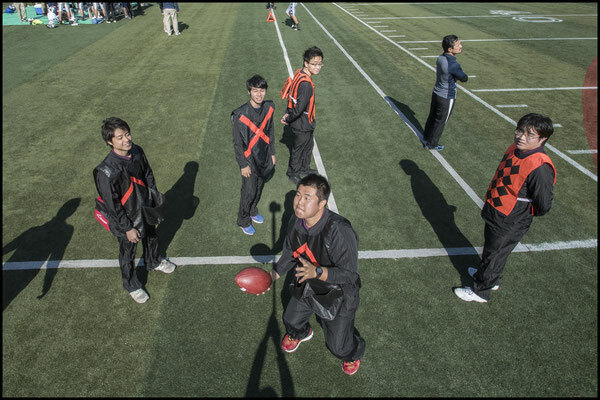 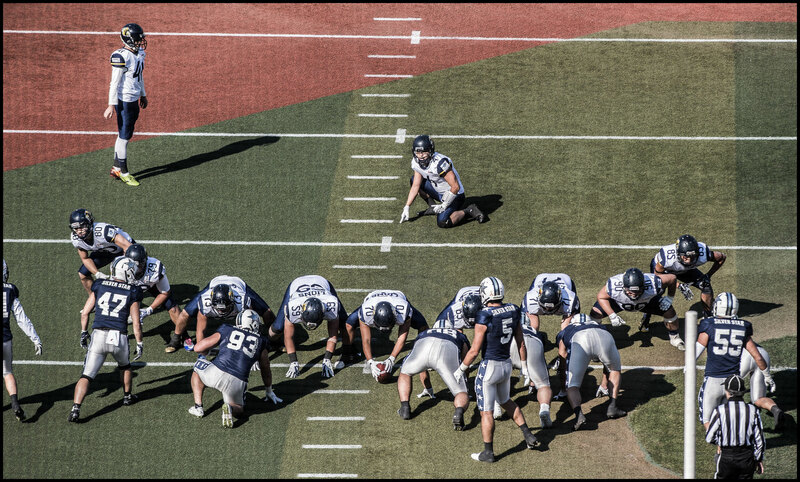 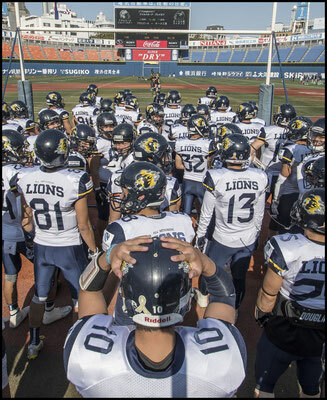 Lions had lost to the same opponent 20-3 one week previously, and even though that game was played in a typhoon, there was no reason to suspect that better weather would be any help to the Hachioji-based side. 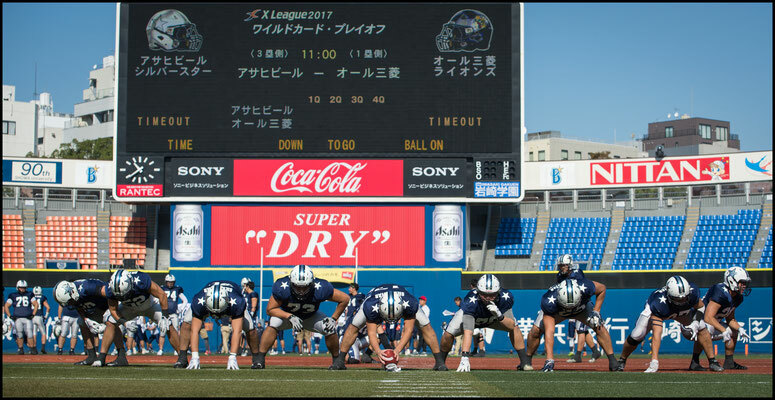 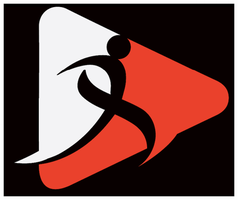 After all the battle nine teams were 0-12 against Super 9 opposition in 2017 being outscored 559-28 in the process. 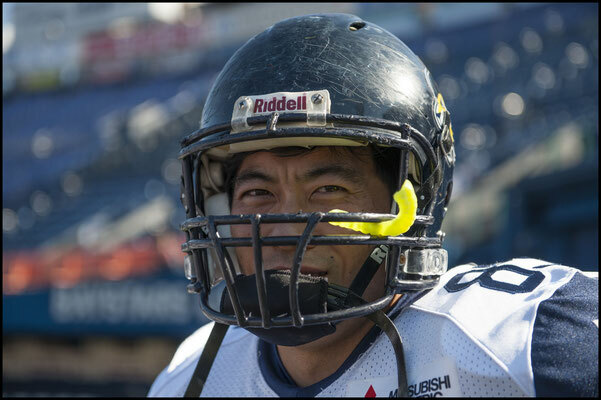 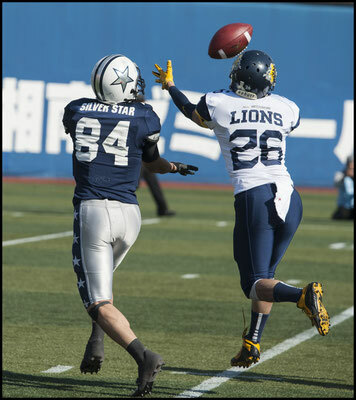 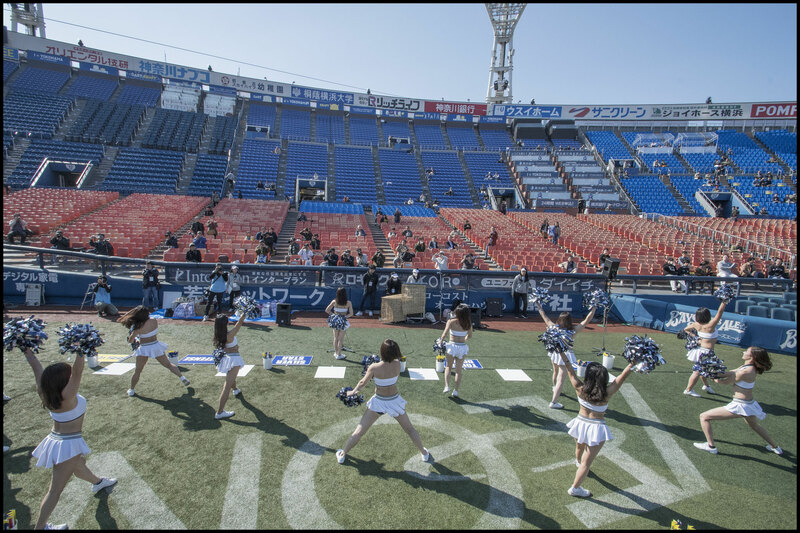 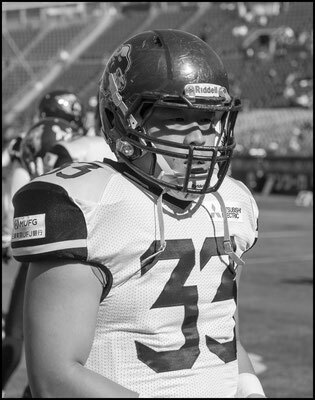 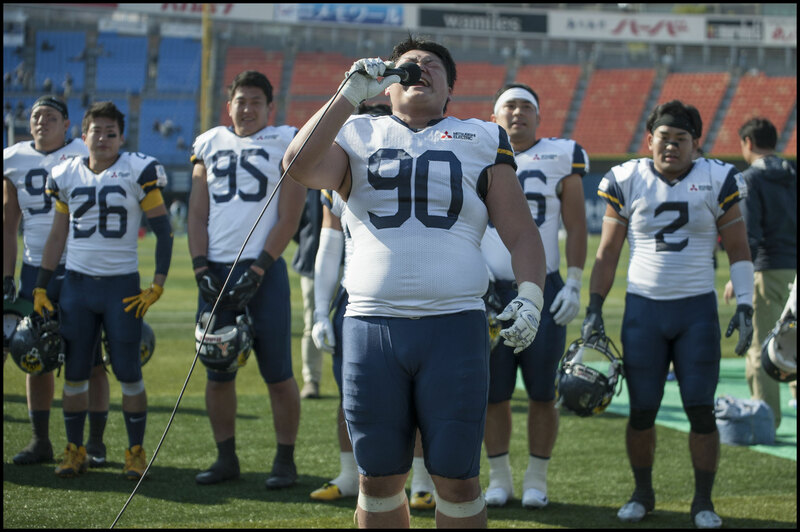 Lions though took the game to Silver Star right from the off, stopping Asahi Beer’s first drive at the 23 Yard line and giving up just three points. 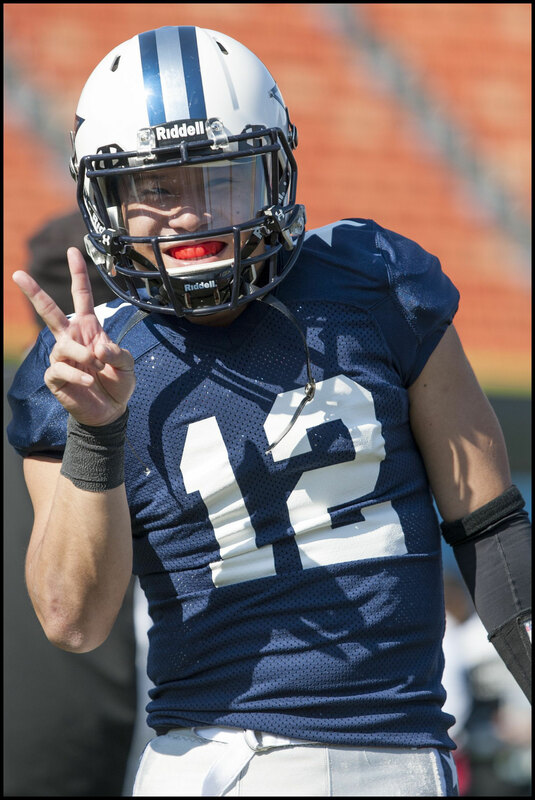 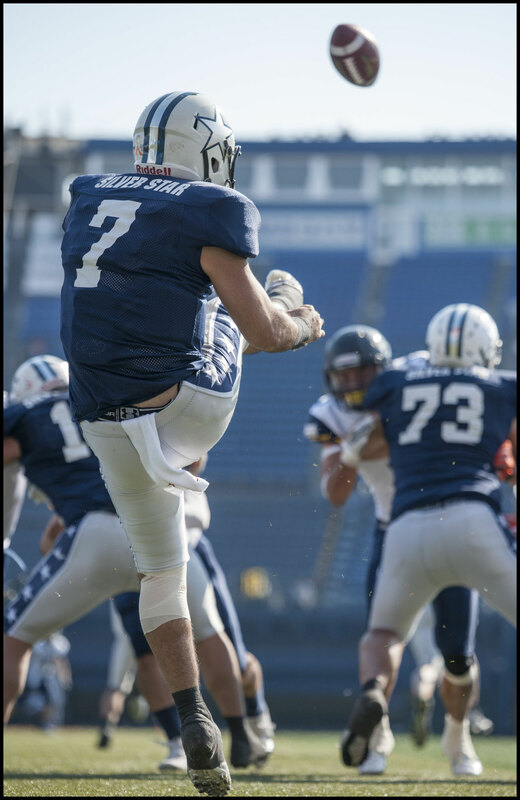 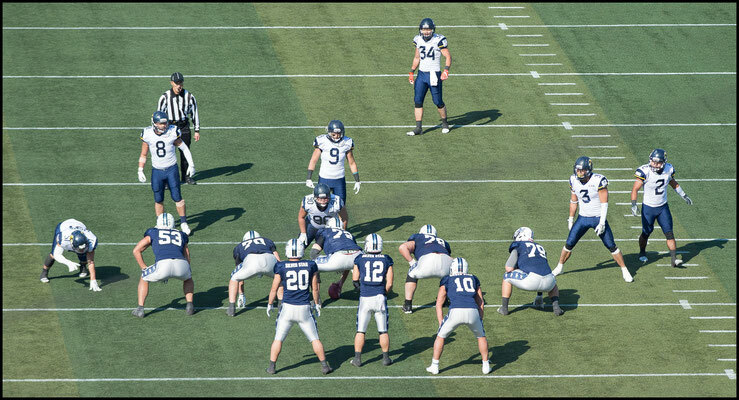 On their own first possession All Mitsubishi then used some misdirection in the backfield and QB Kei Saito hit wideout Takato Kurihara streaking down the field on a post pattern for a 62 yard TD. 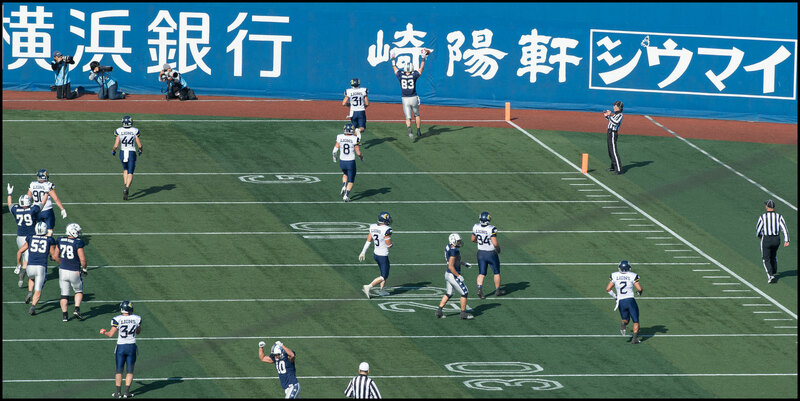 Asahi Beer hit back straight away with a 52 bomb of their own to put them in the red zone but on the very next play DB Kazumasa Matsuda picked off a Takafumi Suzuki pass that seemed to be thrown right at him. 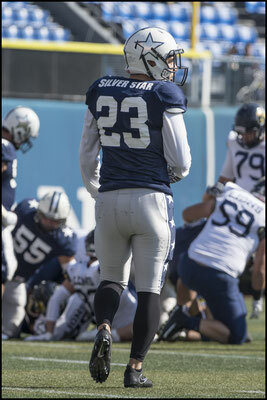 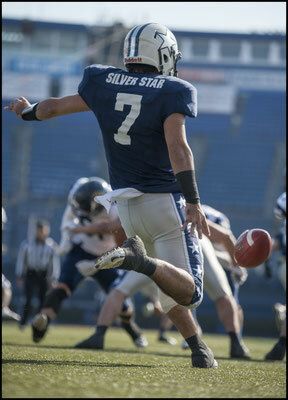 Silver Star didn’t help themselves with some big penalties. A facemask and pass interference call on the drive following the interception gave Lions the ball on the two yard line but the Asahi Beer defense stiffened and All Mitsubishi had to settle for three points. 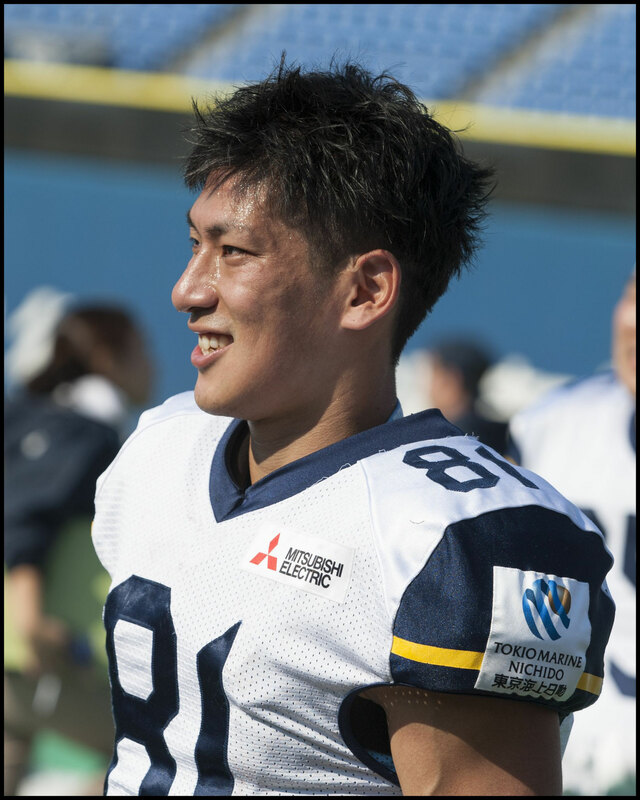 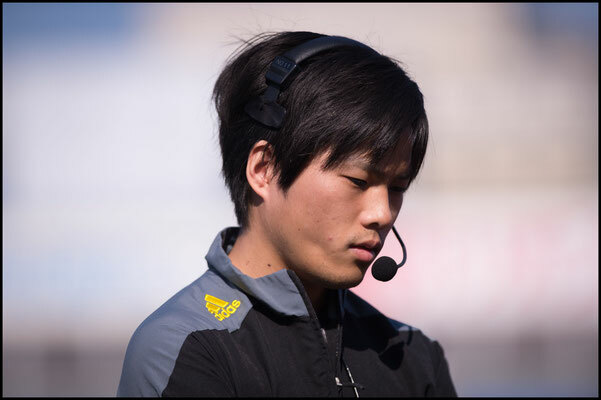 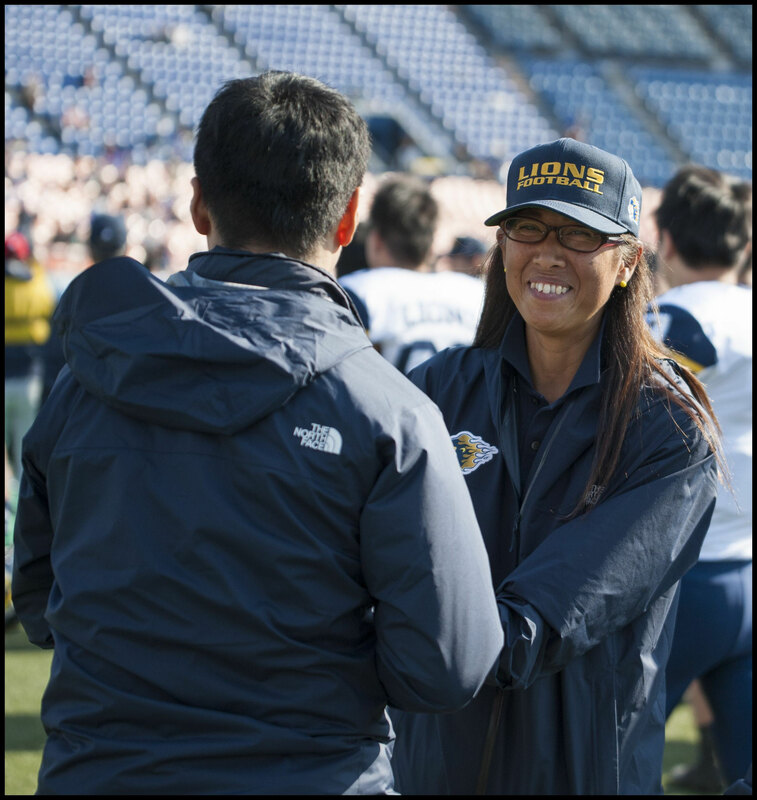 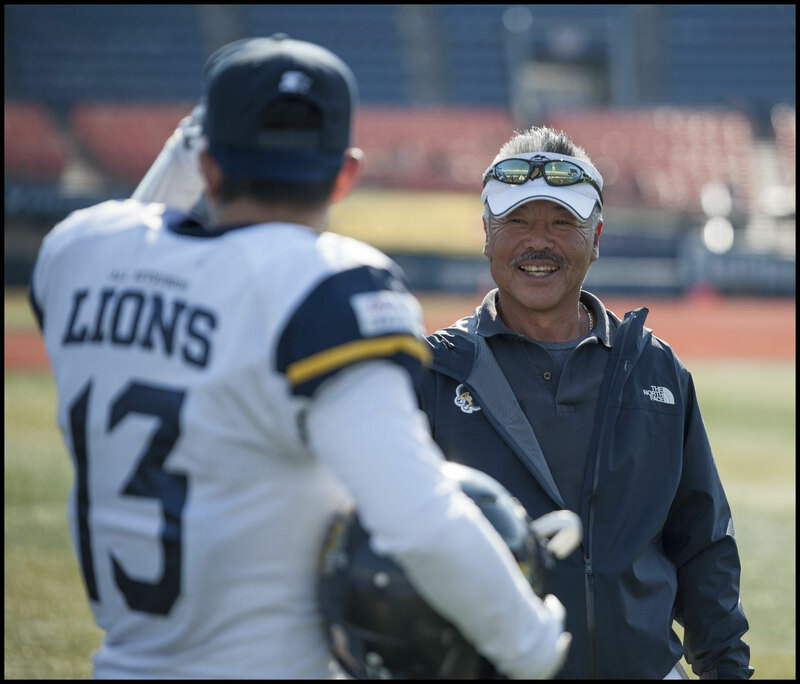 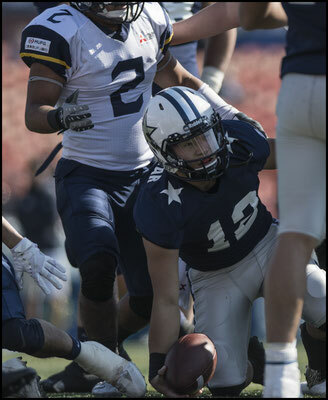 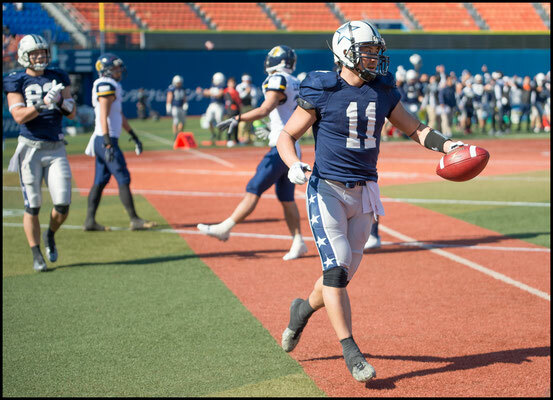 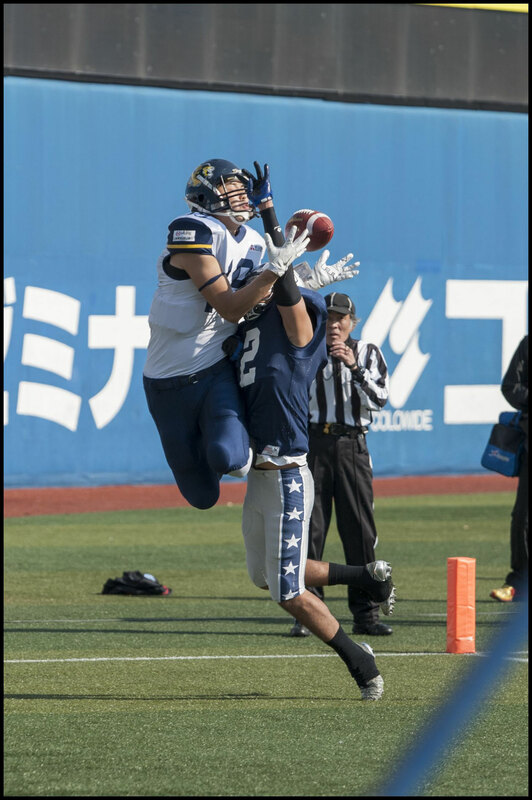 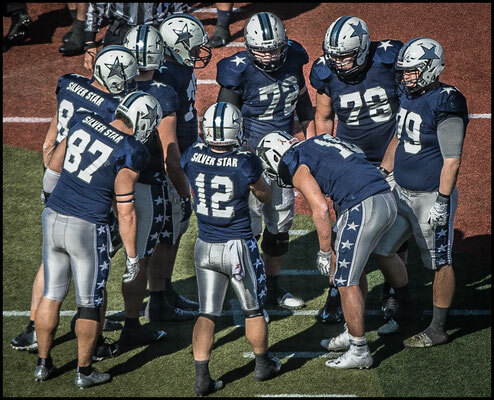 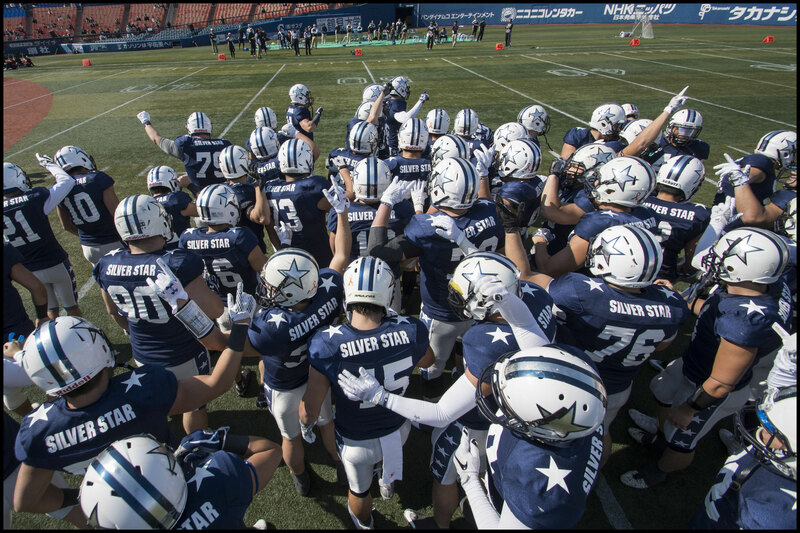 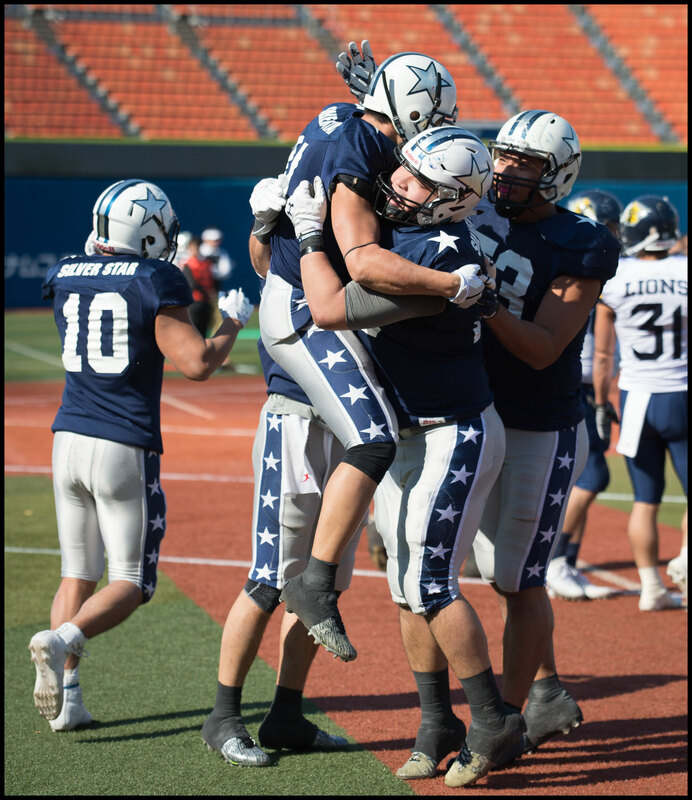 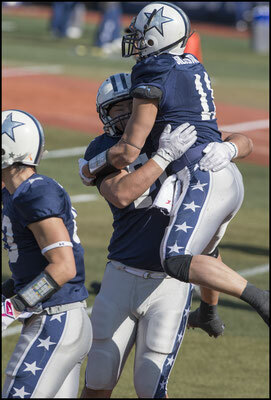 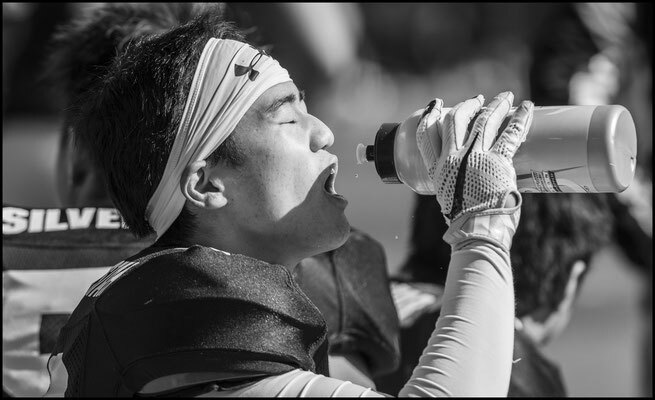 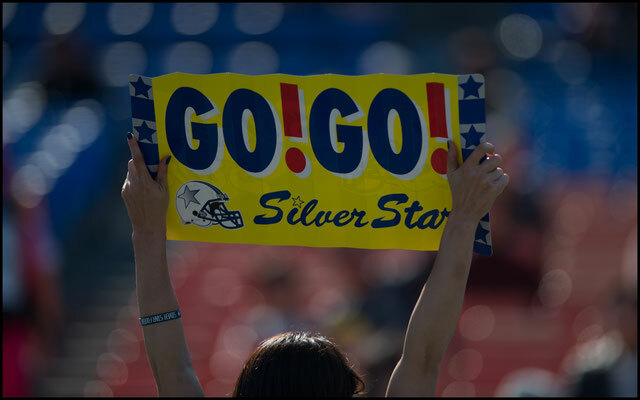 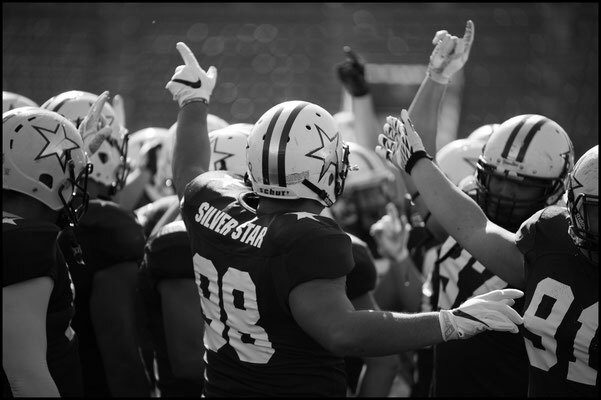 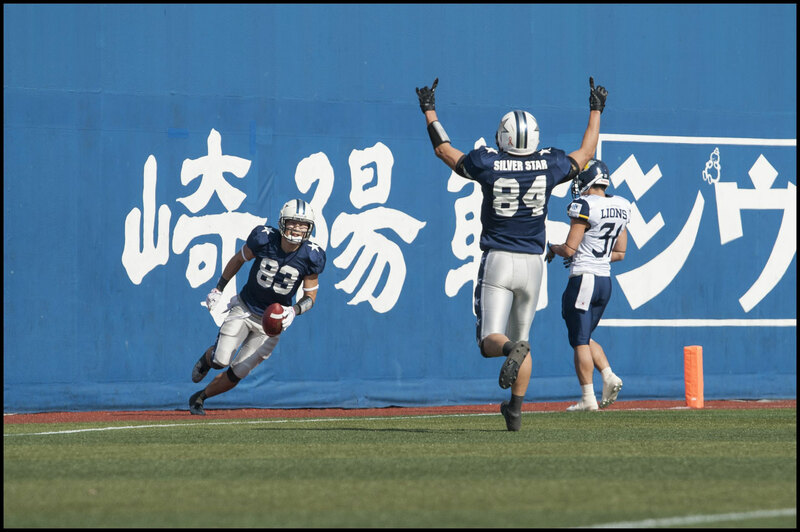 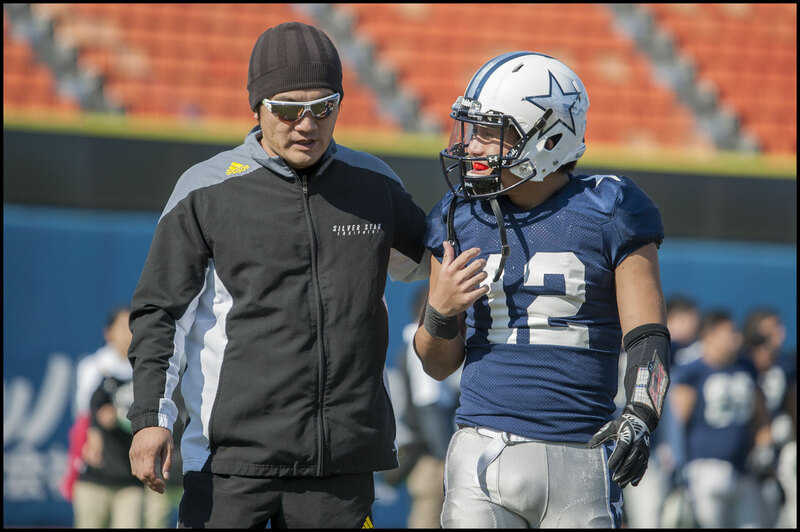 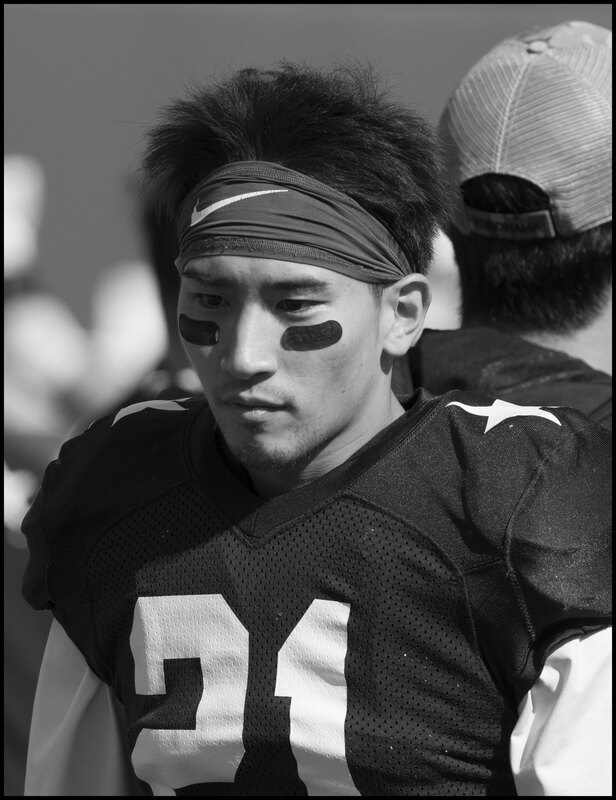 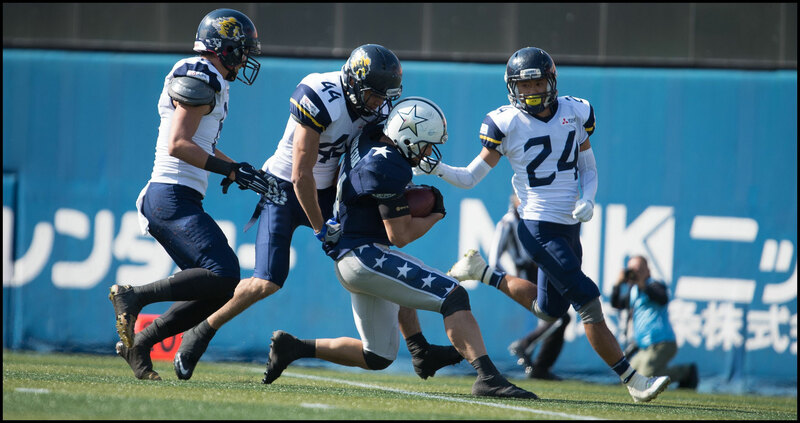 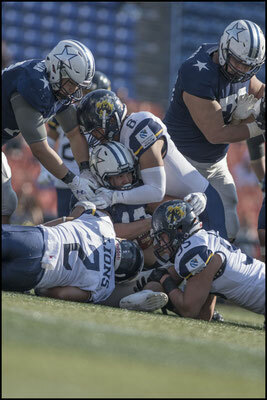 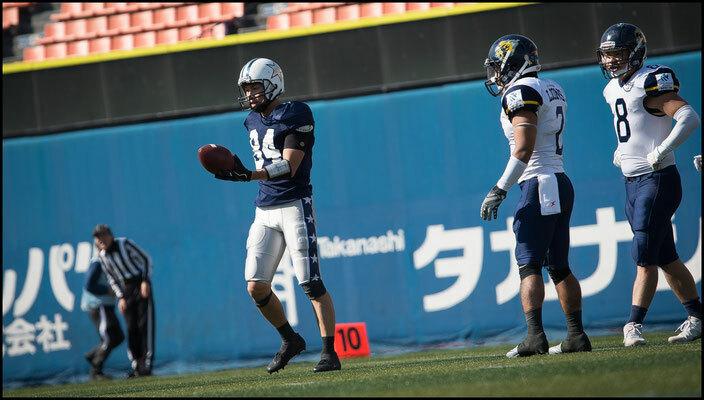 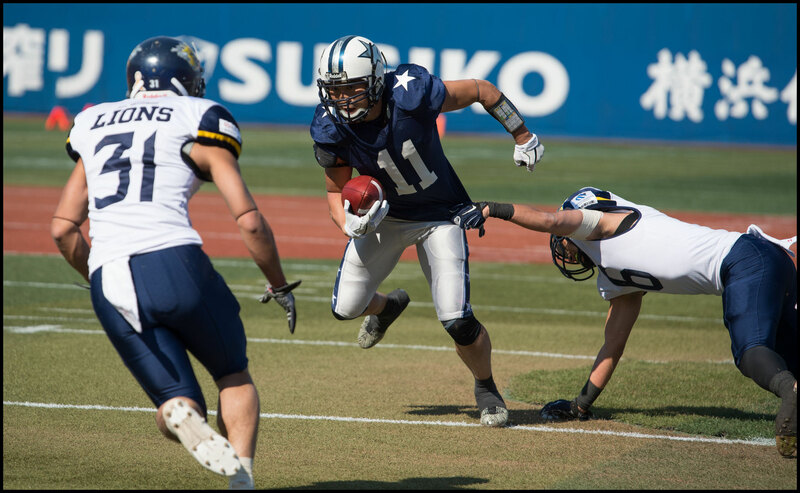 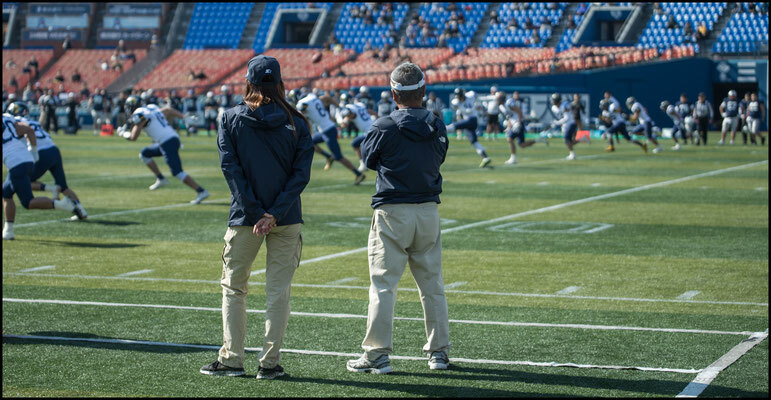 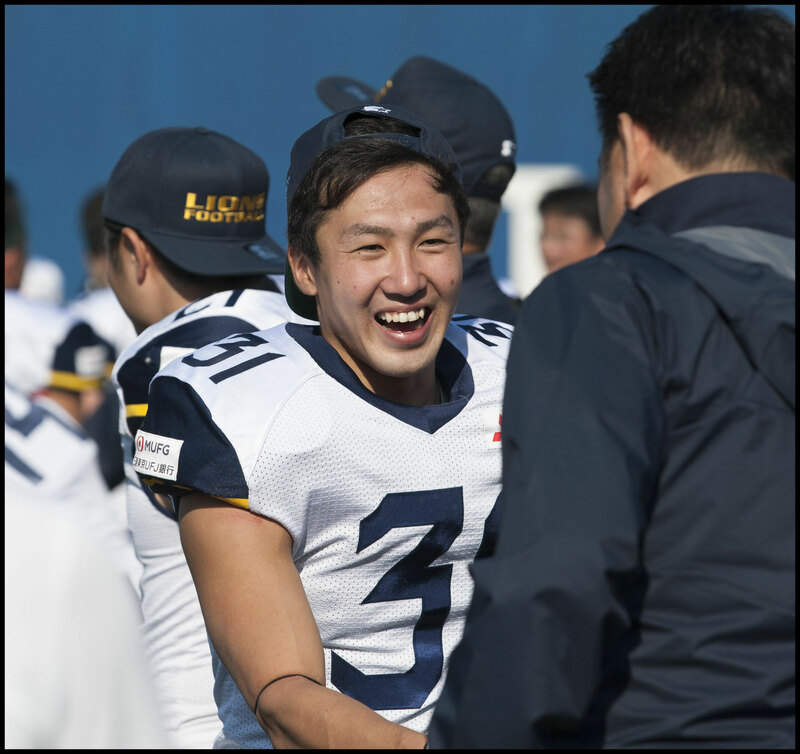 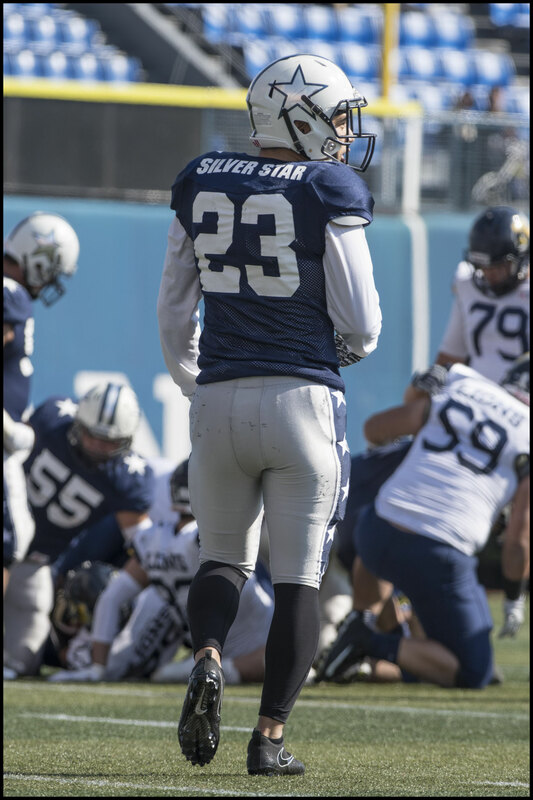 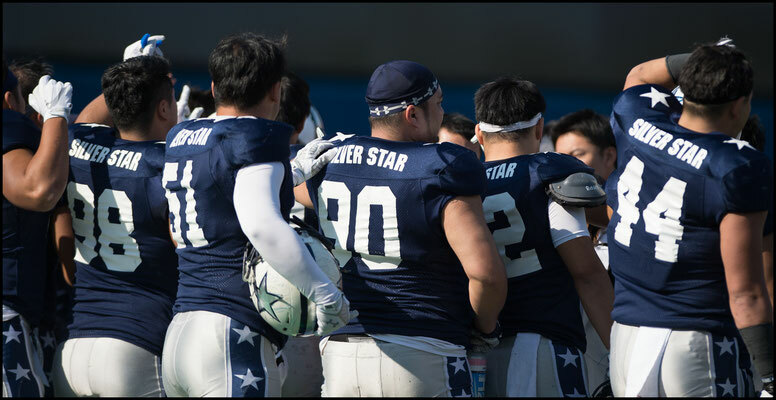 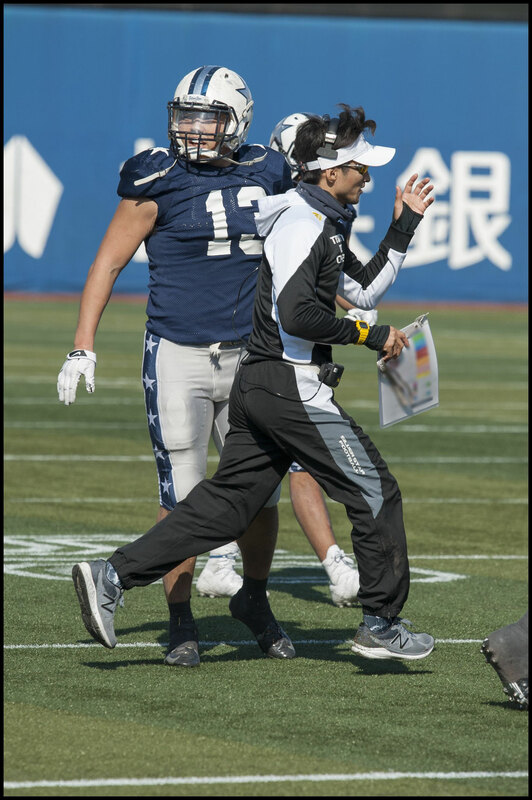 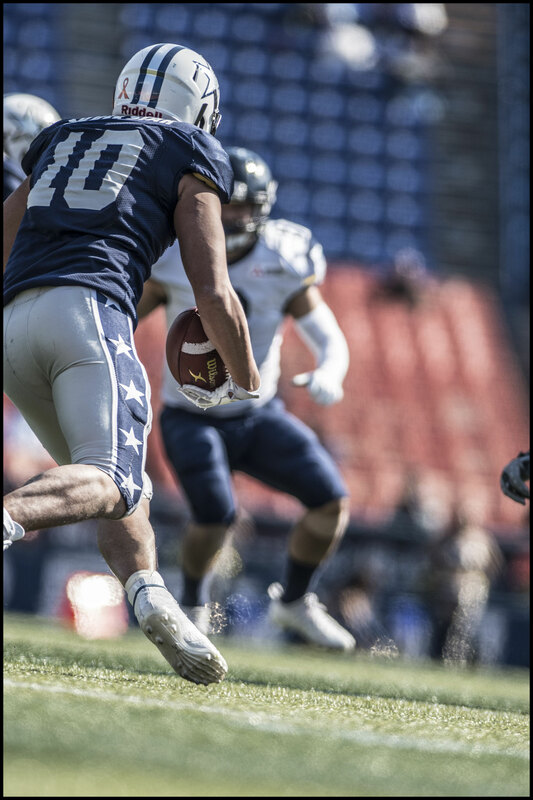 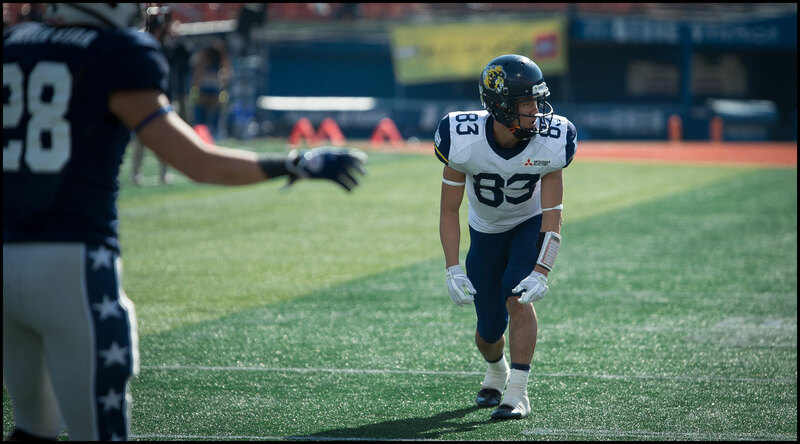 When Silver Star equalized just before the half it looked like those missed points would prove crucial and when a creative play call got star WR Yuta Hayashi into the endzone it seemed as if it would be yet another brave but futile effort from Lions against a top tier team. 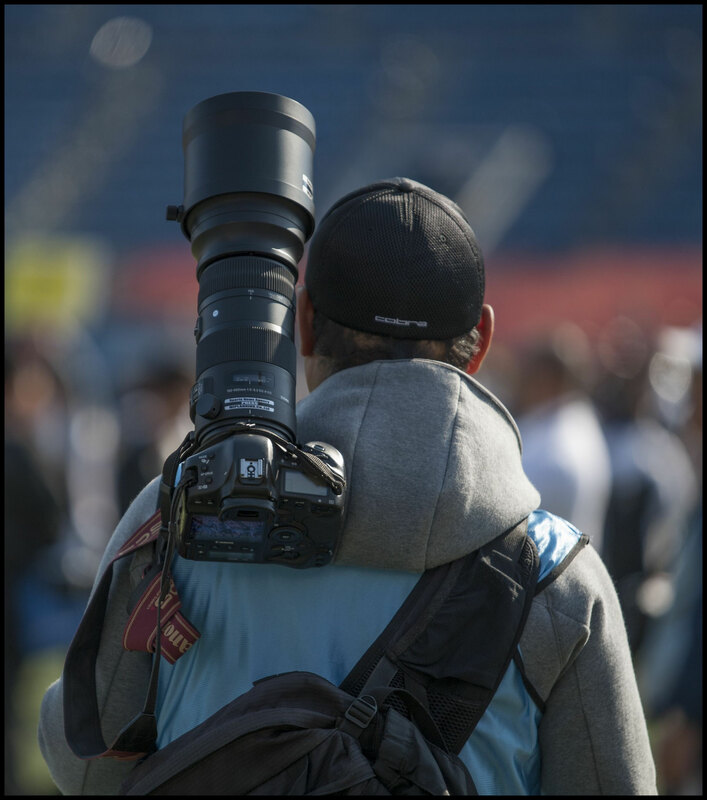 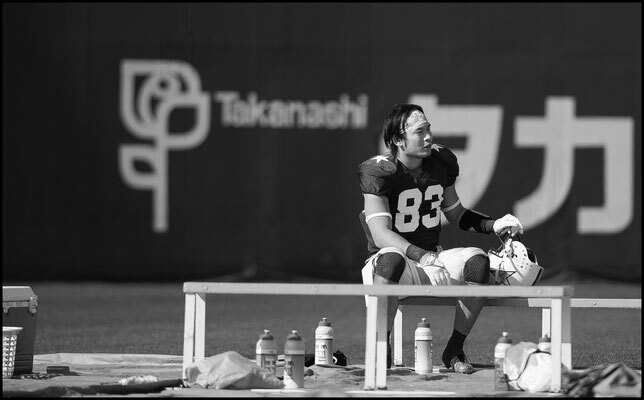 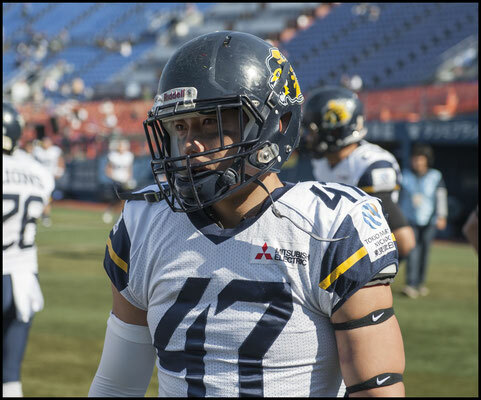 Hayashi one of the leagues top wideouts had been mostly kept in check up to that point as All Mitsubishi rolled the coverage his way. 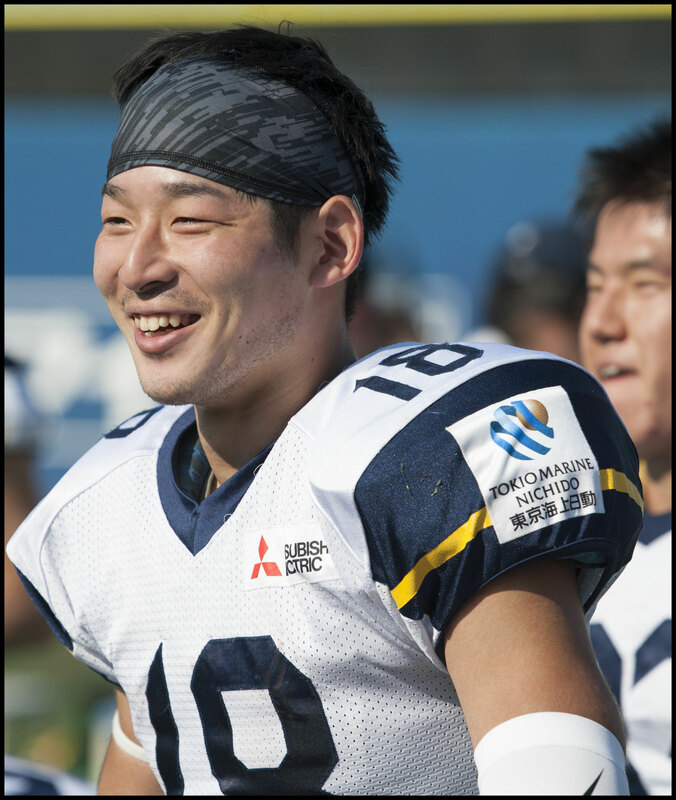 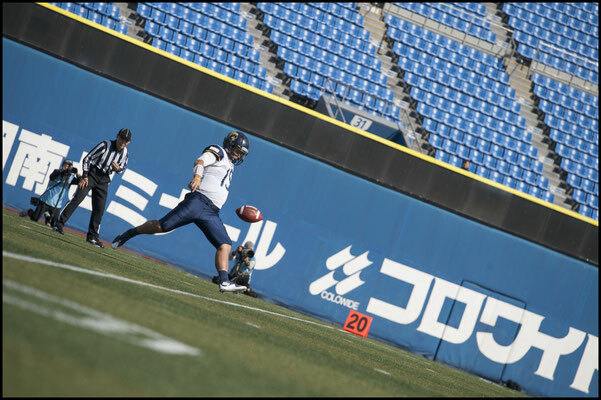 On the TD Suzuki threw a quick lateral to Takuya Yanagisawa that probably looked like a forward pass to the All Mitsubishi defense. 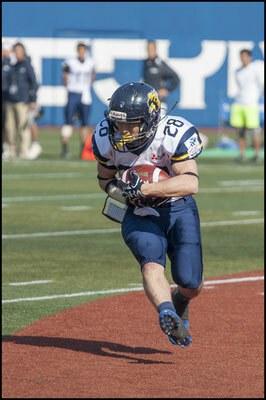 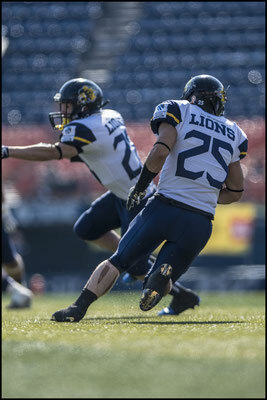 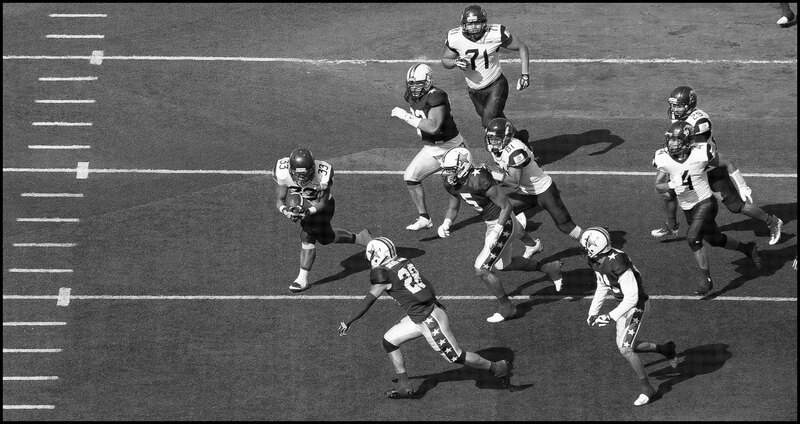 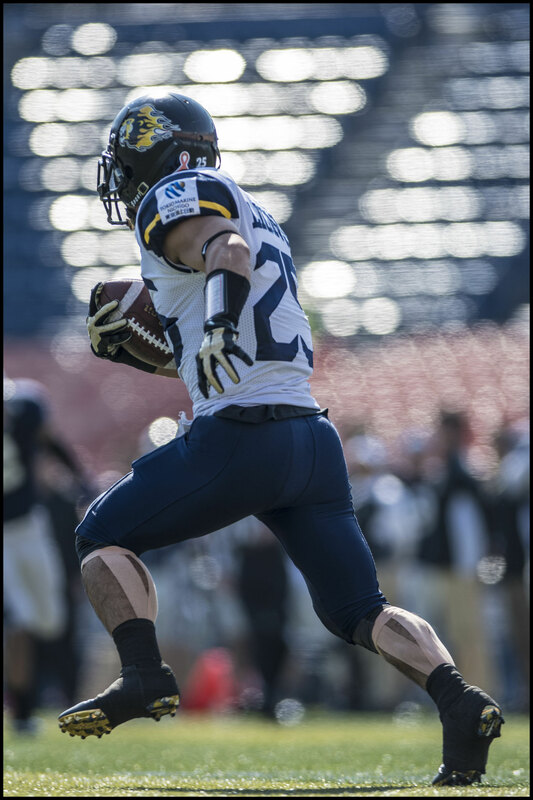 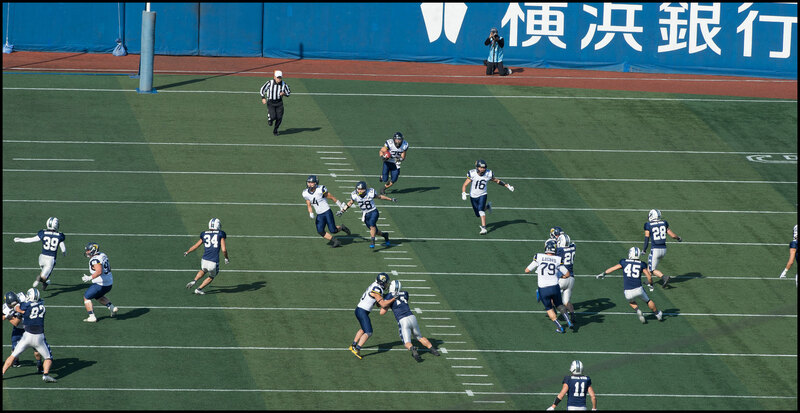 The ball didn’t travel forward though and that meant when the RB pulled up he had Hayashi wide open at the goal line. 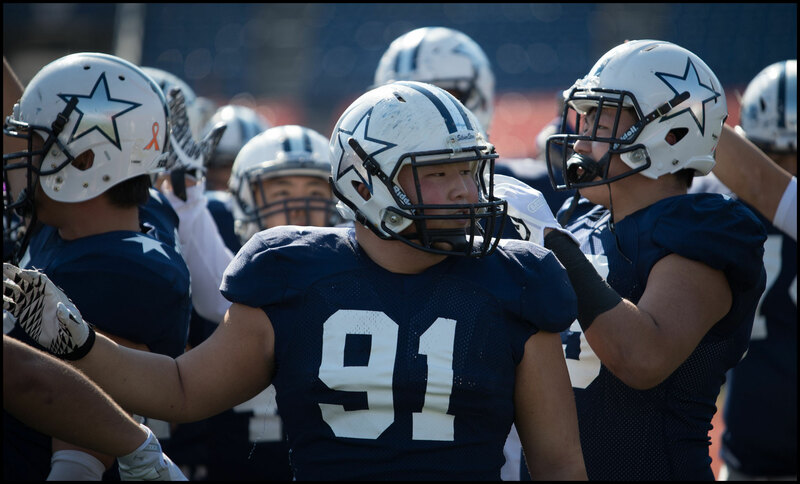 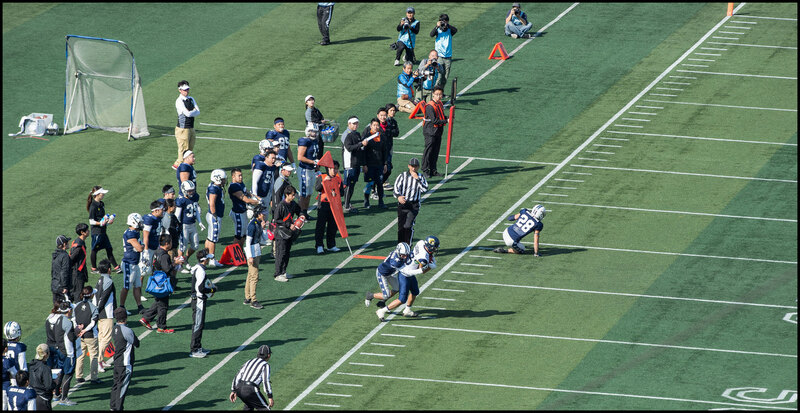 Momentum was completely with the Super 9 side after Yuta Sadakata got a good push up the center to block a Lions FG try in the fourth quarter. Full credit to All Mitsubishi though. 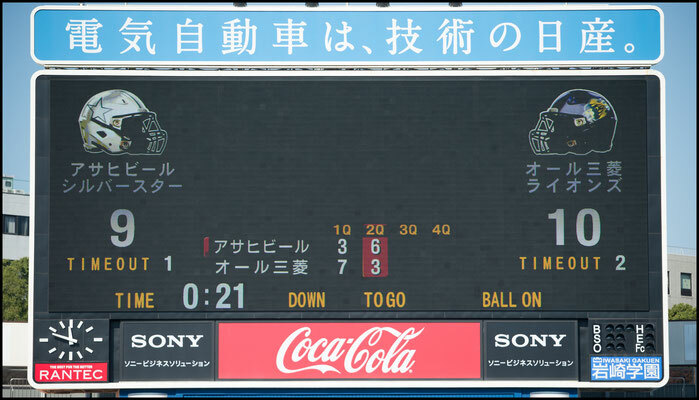 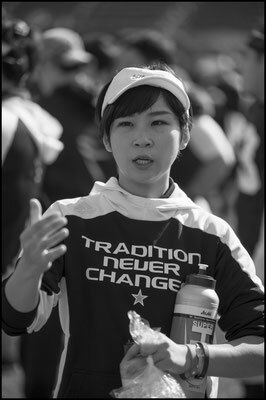 Heads never dropped and with 7:30 left Saito kept the ball himself and rushed in for the tying score from six yards out. Sadakata showed up again batting down a ball on third down that gave his team possession with just over three and a half minutes left. 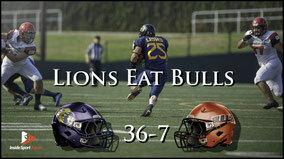 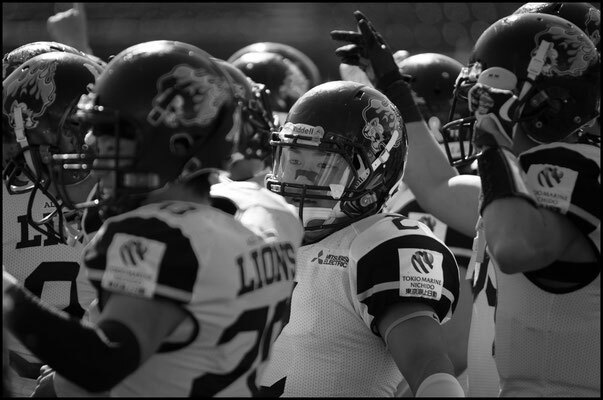 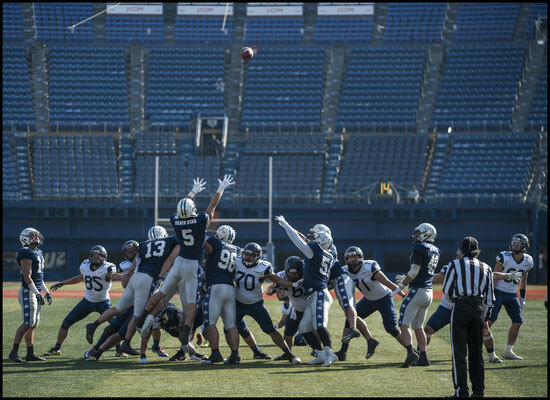 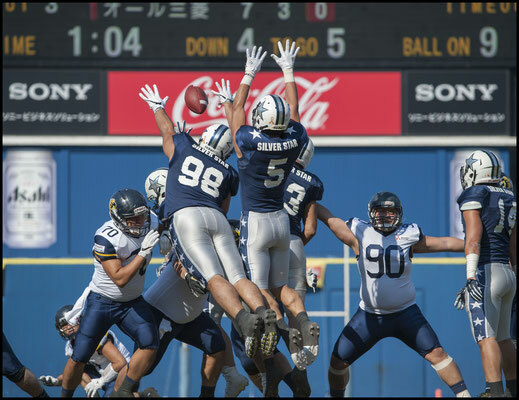 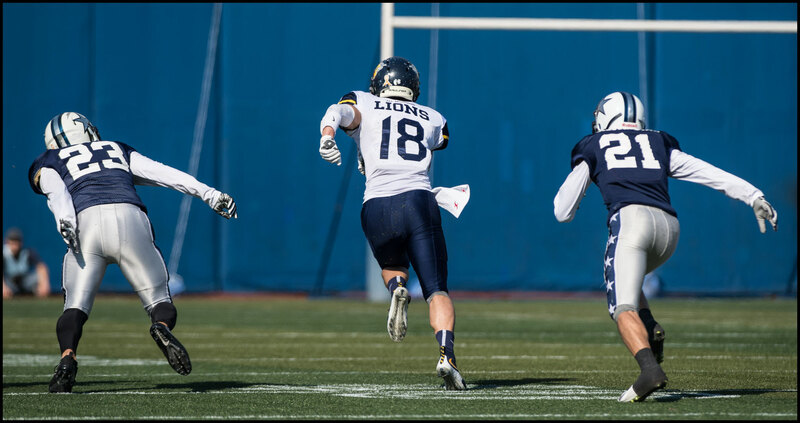 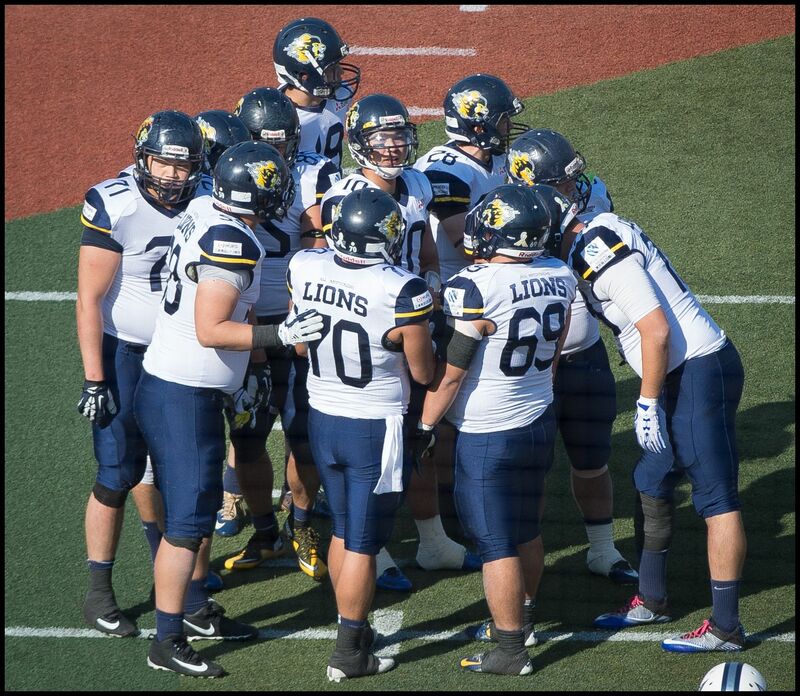 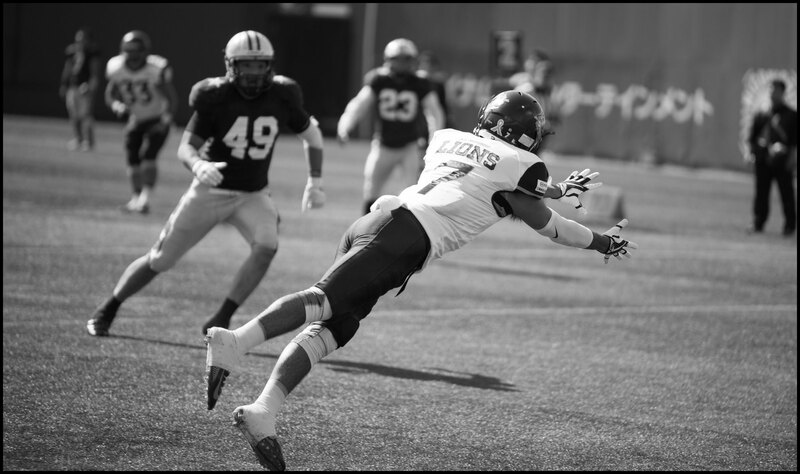 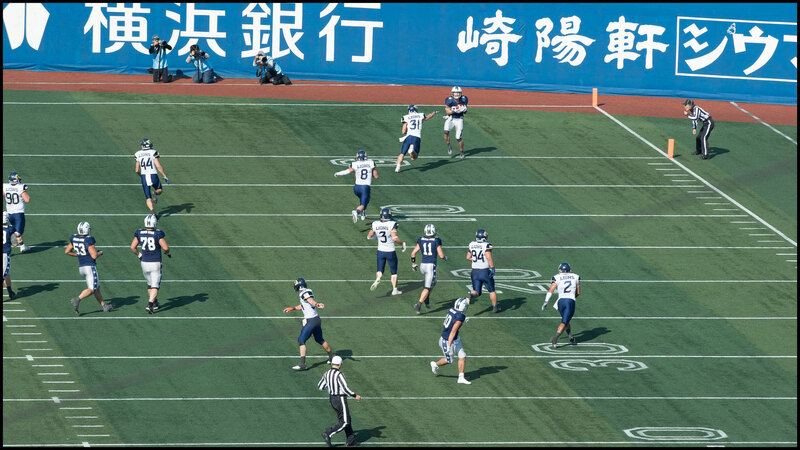 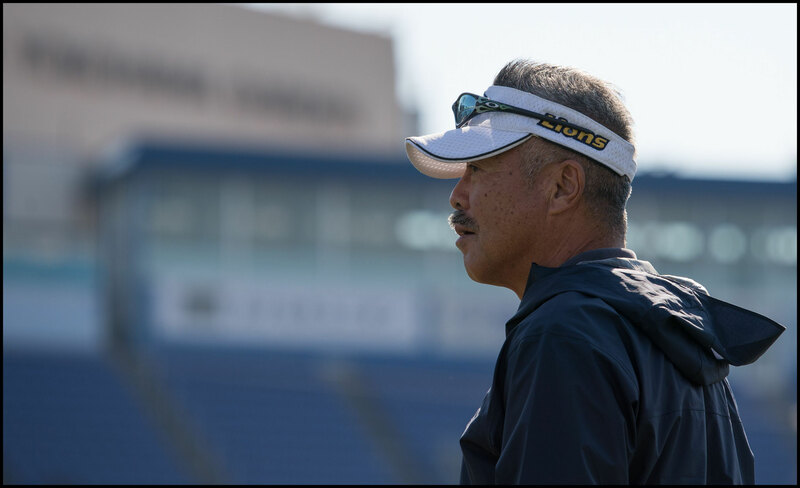 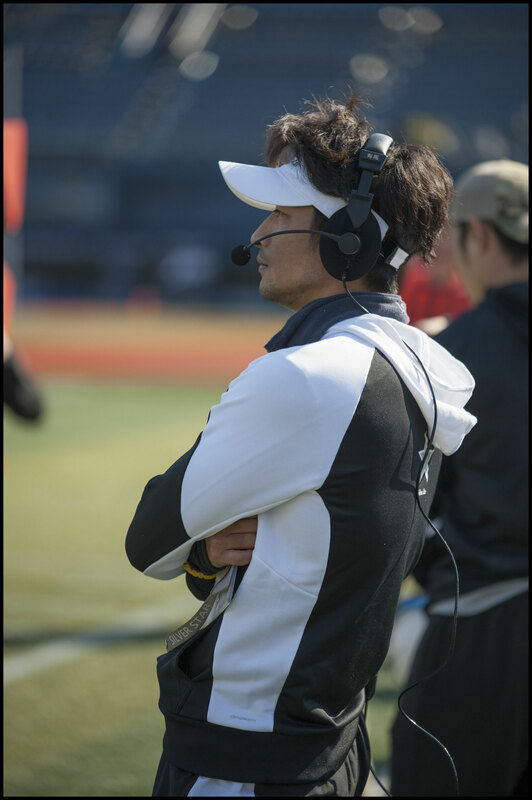 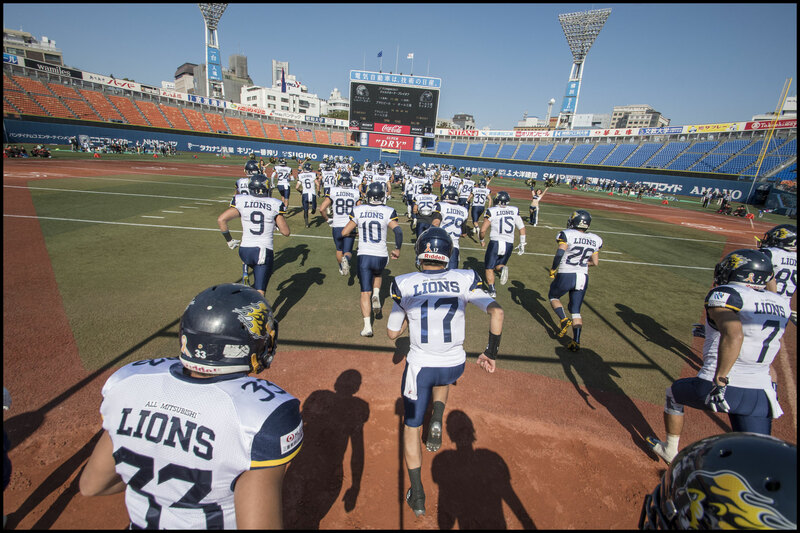 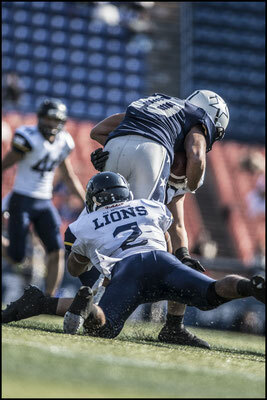 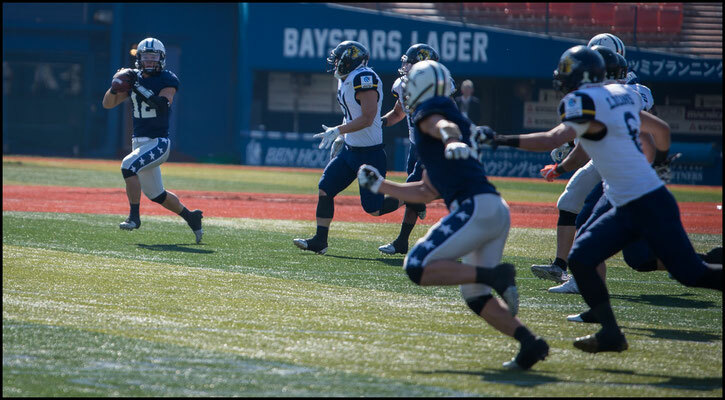 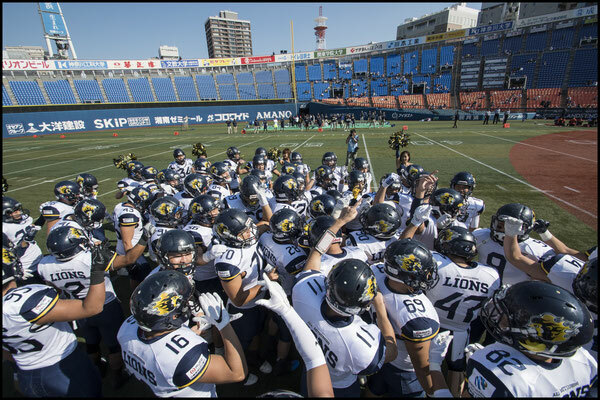 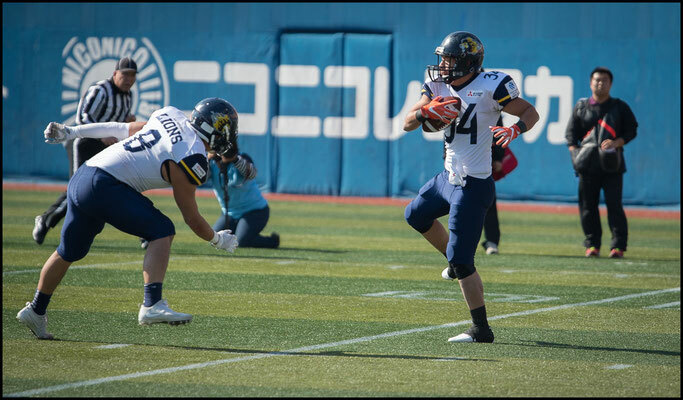 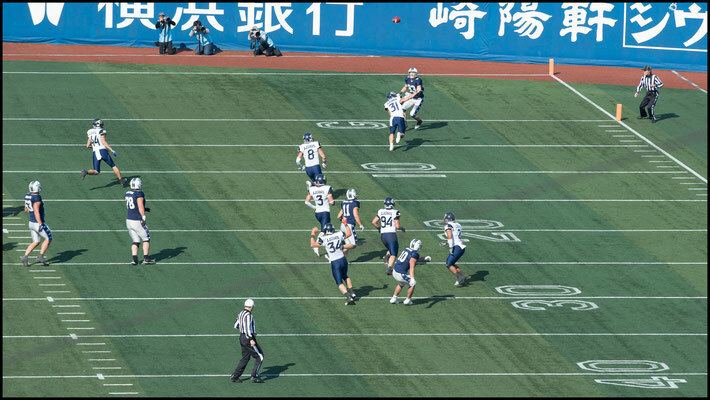 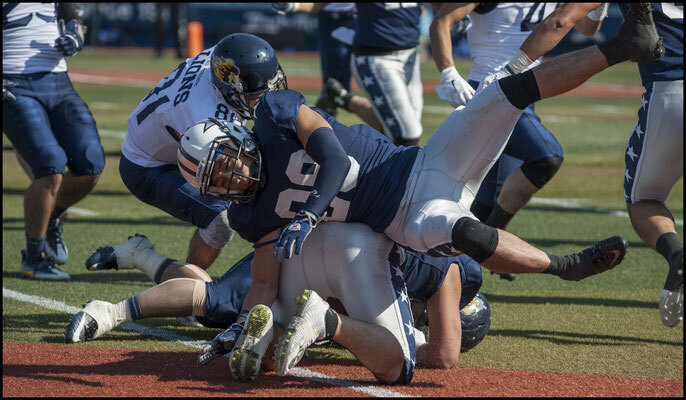 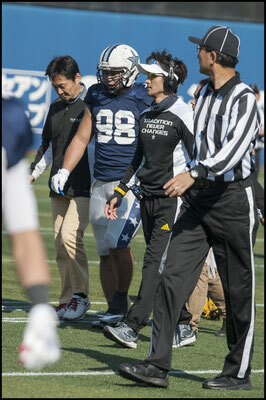 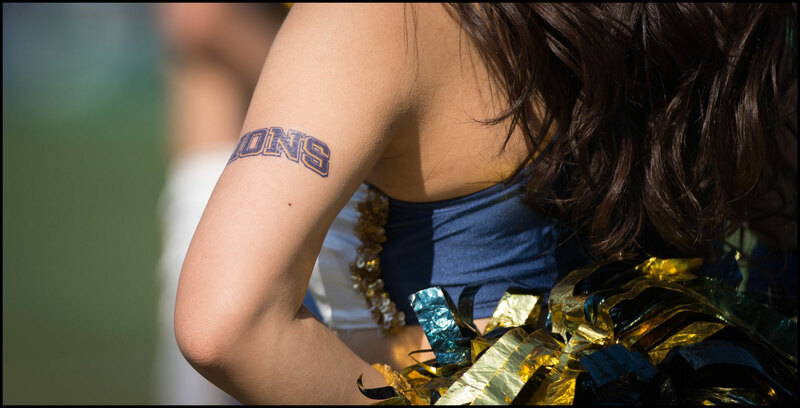 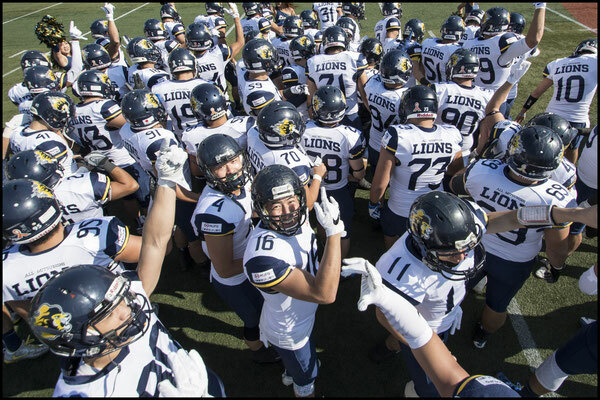 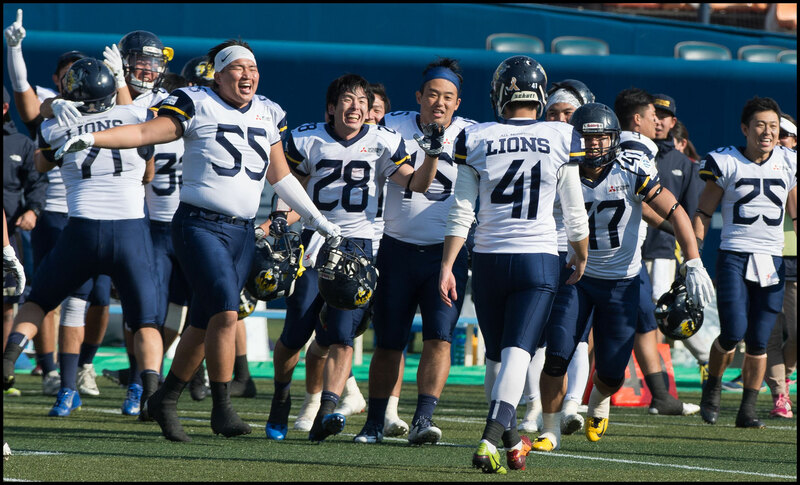 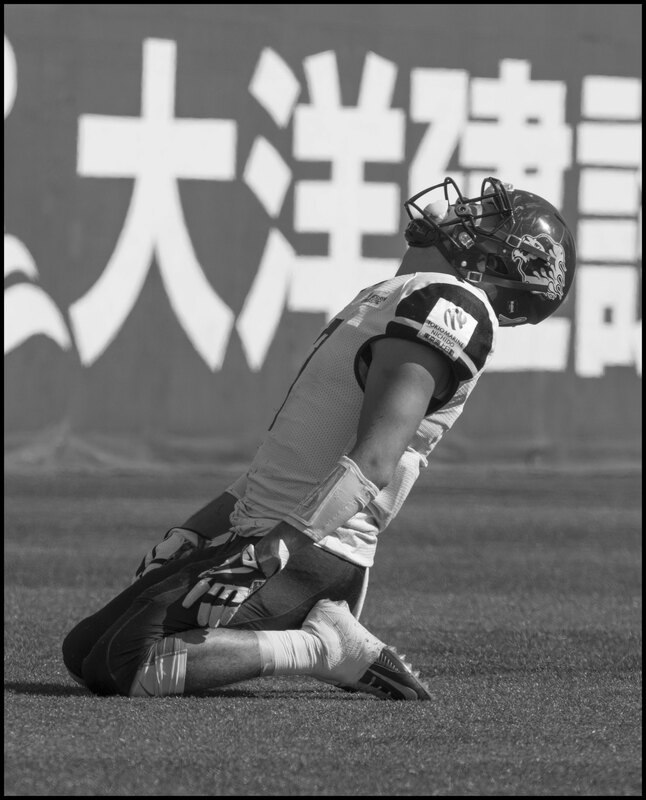 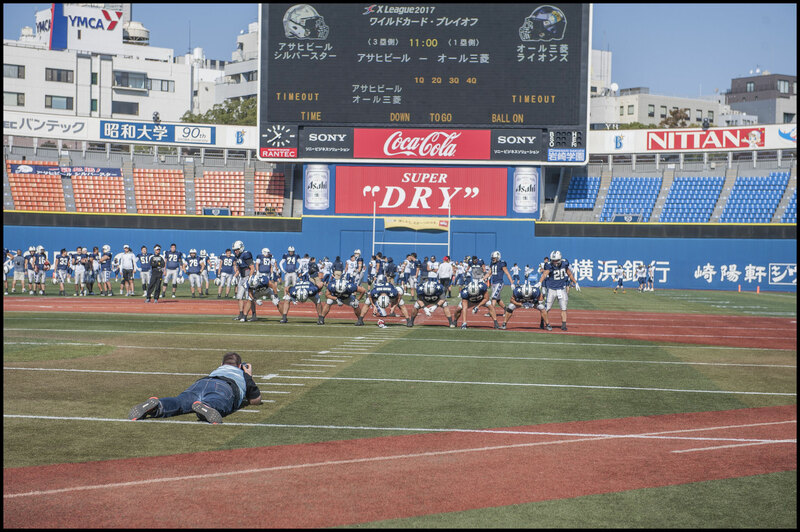 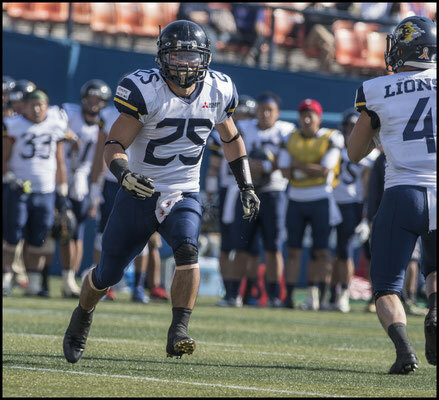 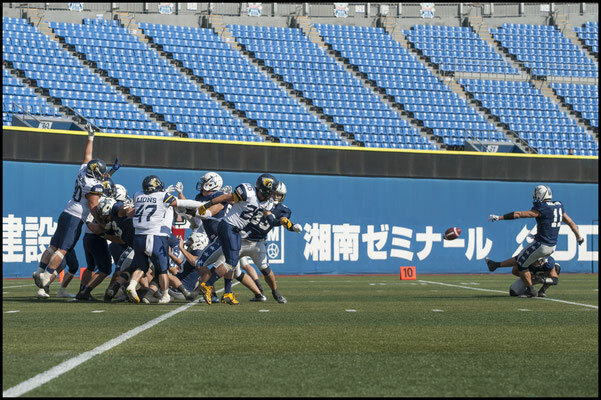 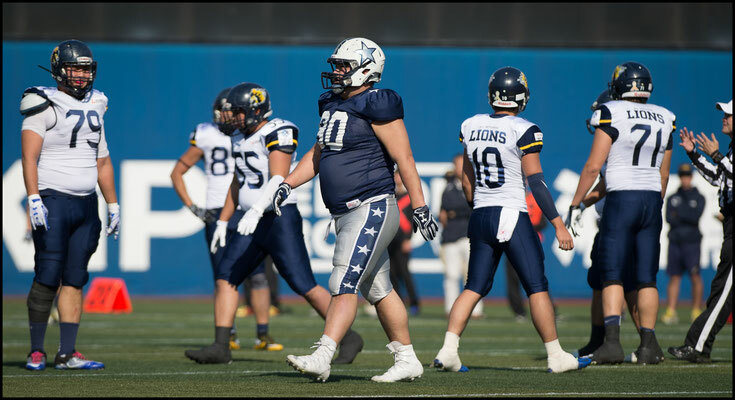 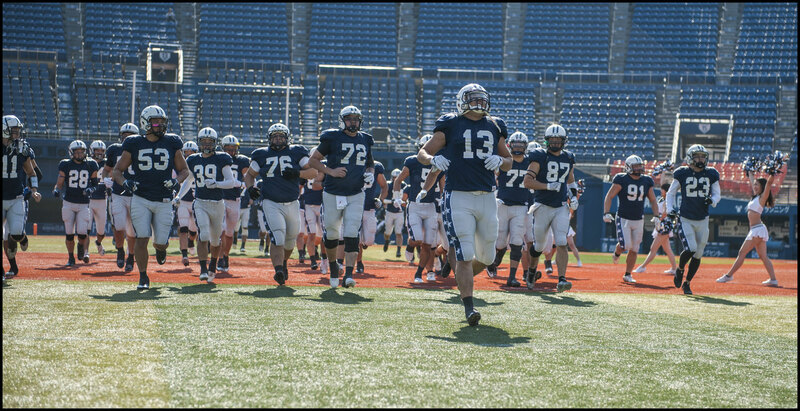 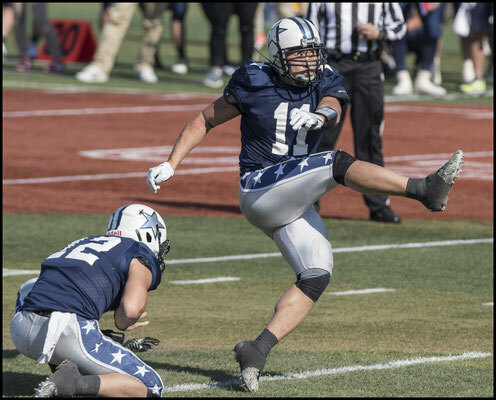 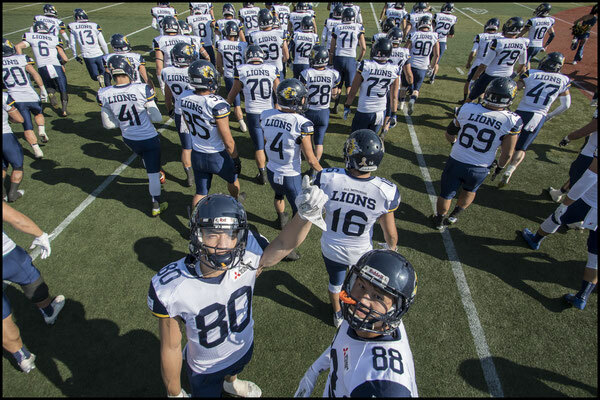 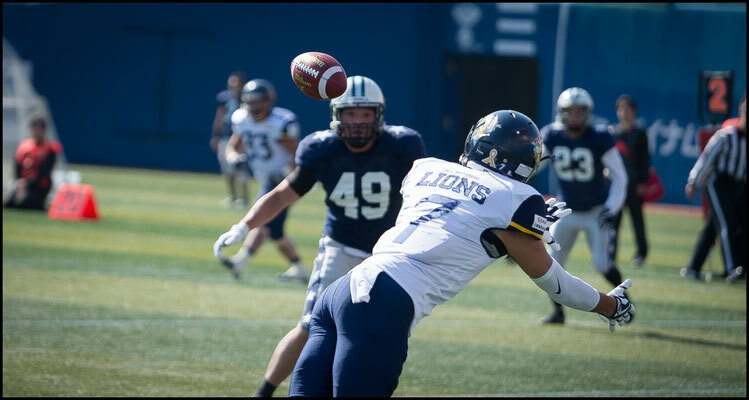 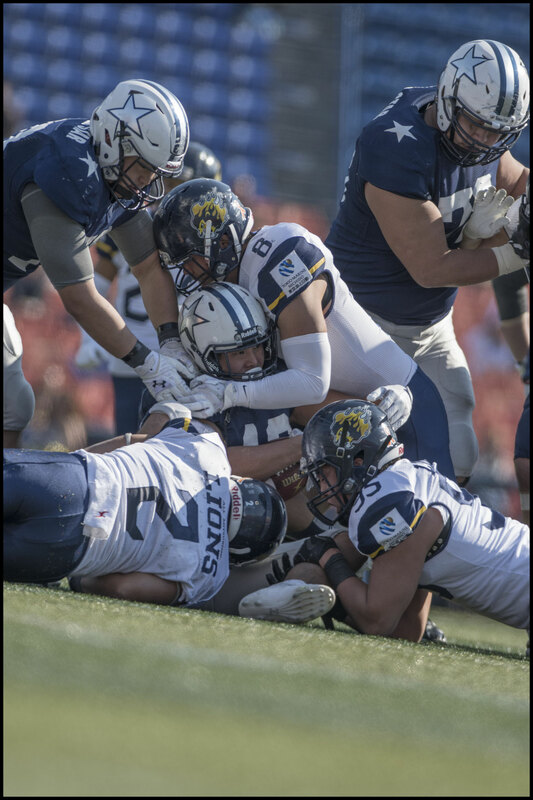 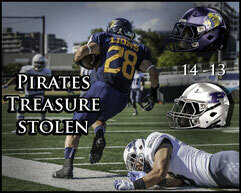 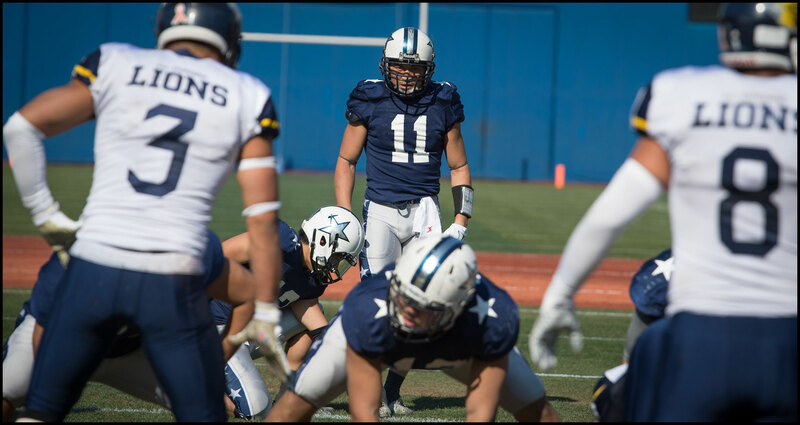 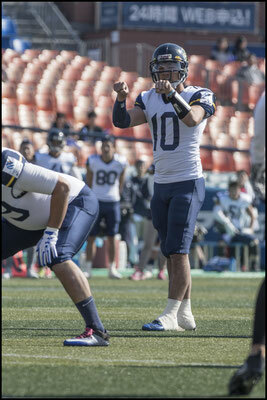 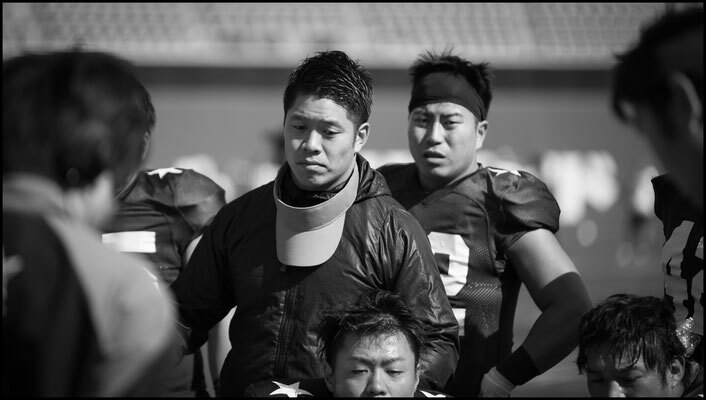 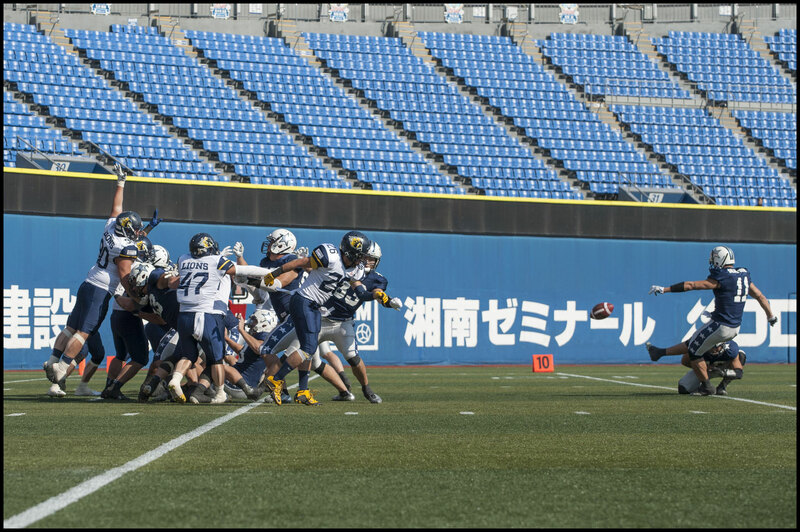 The Lions defense though stepped up and when LB Yu Hirao broke up a third down pass that ensured Lions got the ball back, they made no mistake, running the clock down to three seconds and kicking the FG that sends them through to the quarter finals where they will meet unbeaten Panasonic. 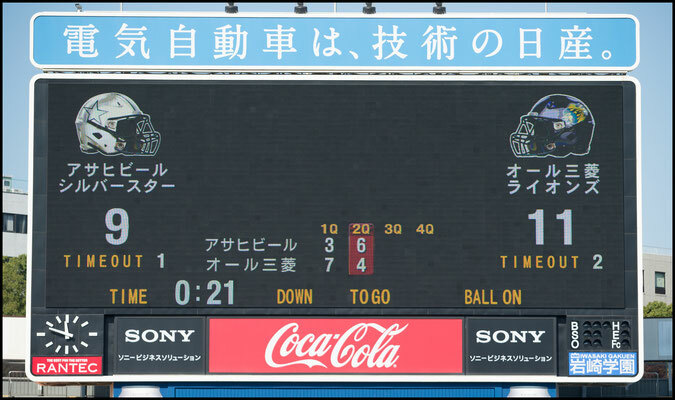 All Mitsubishi won’t be given much chance in that game but then again they weren’t in this one either. Even if they do fail to make the final four, finishing top of the Battle 9 and downing a Super 9 side in the playoffs already makes it a great year for the Lions.